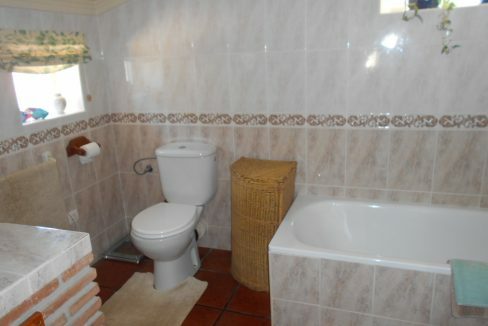 This very large family house has it all. 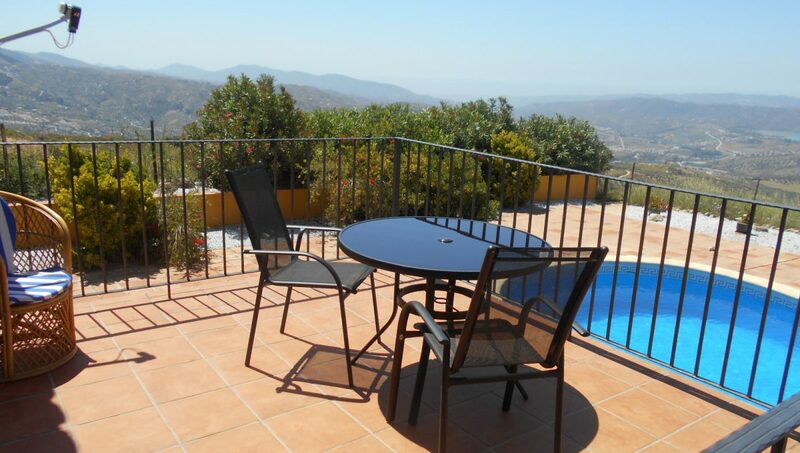 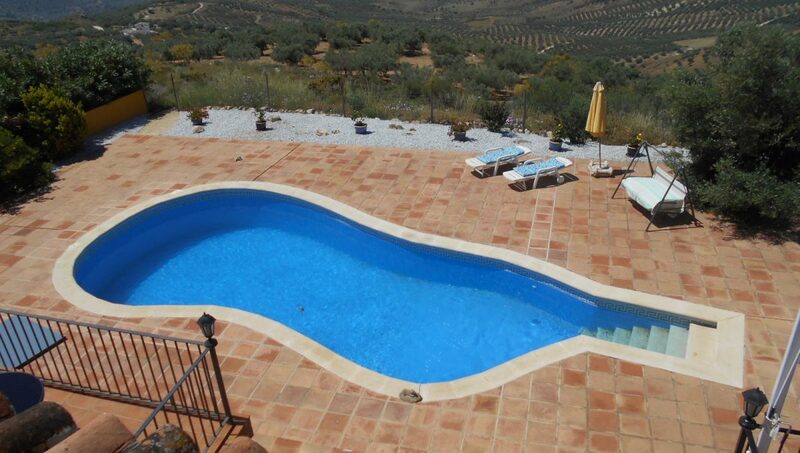 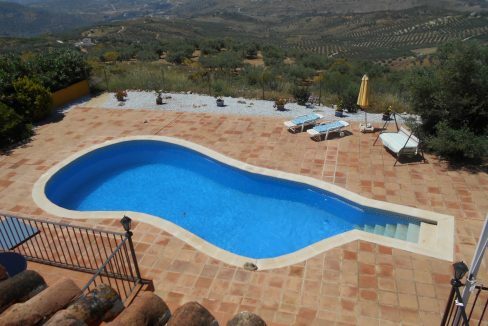 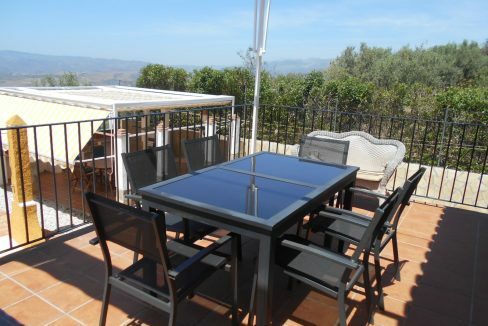 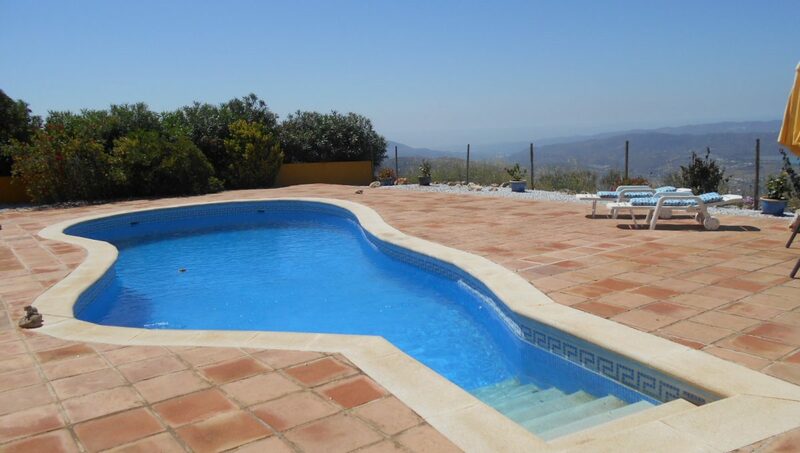 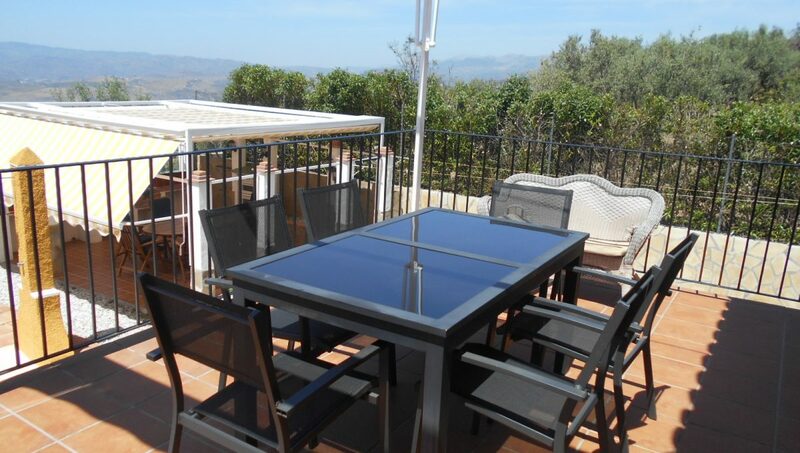 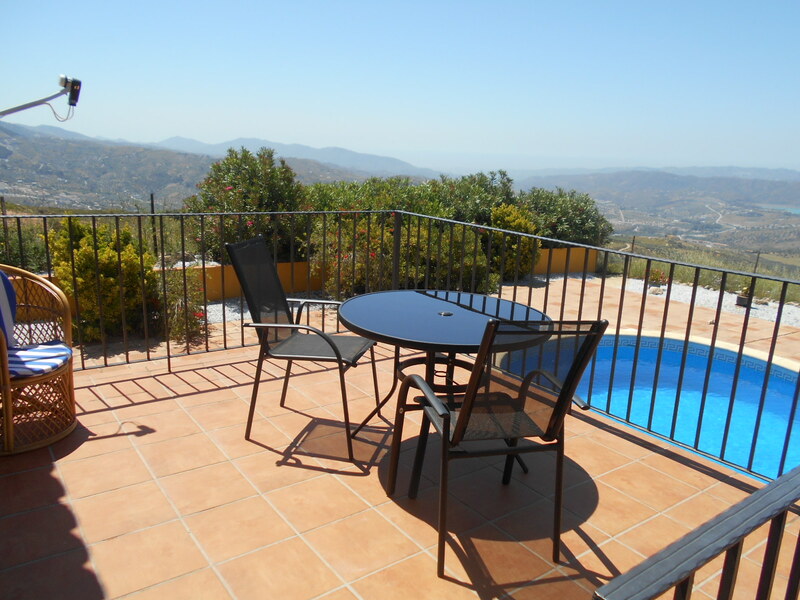 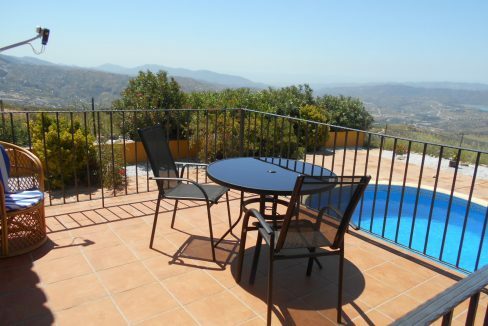 Set in a superb location it offers tranquility and awesome panoramic views. 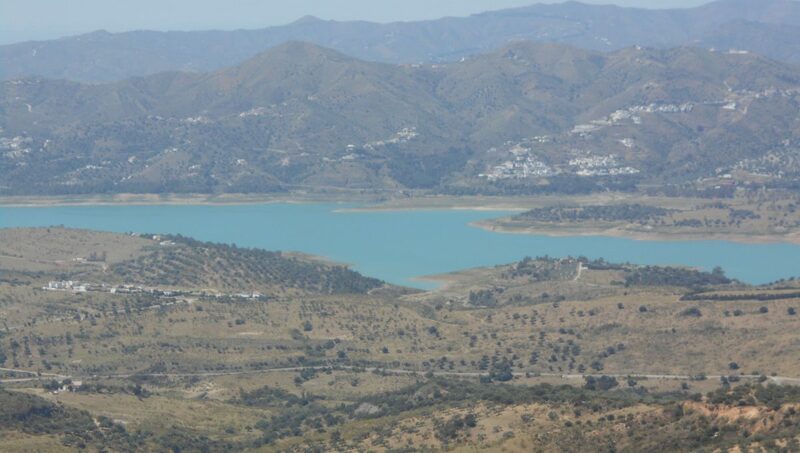 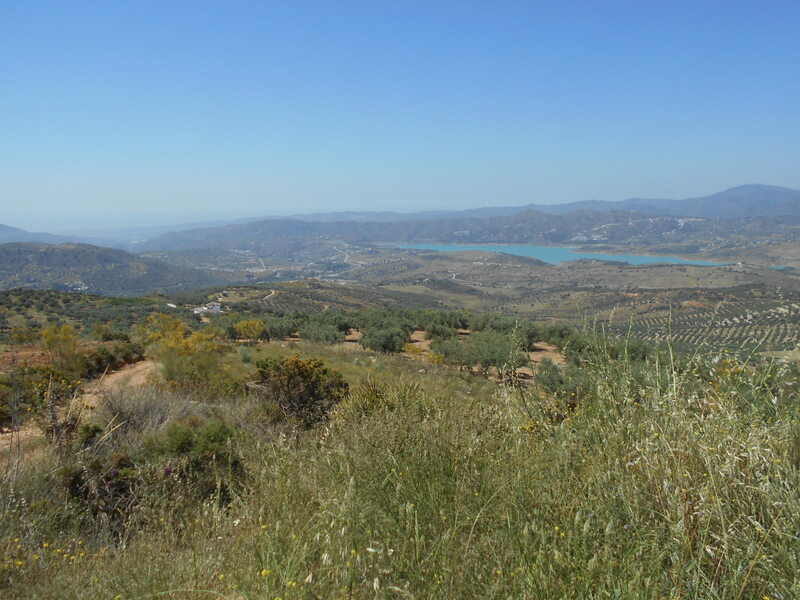 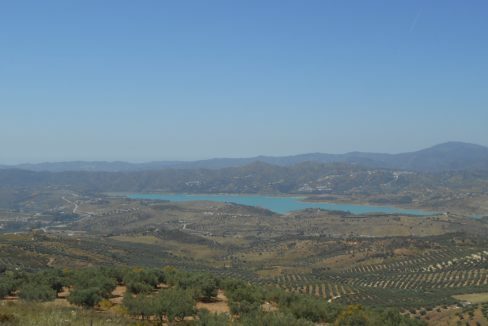 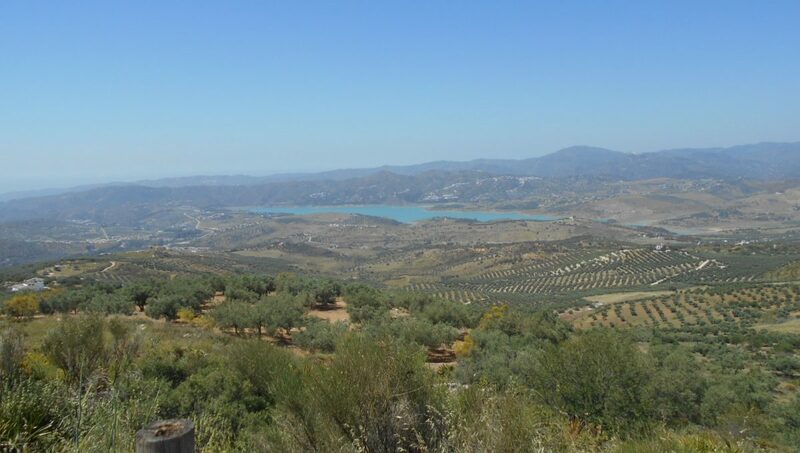 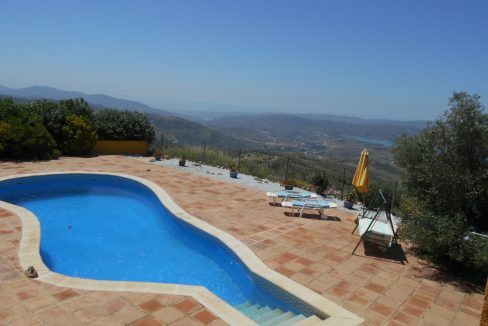 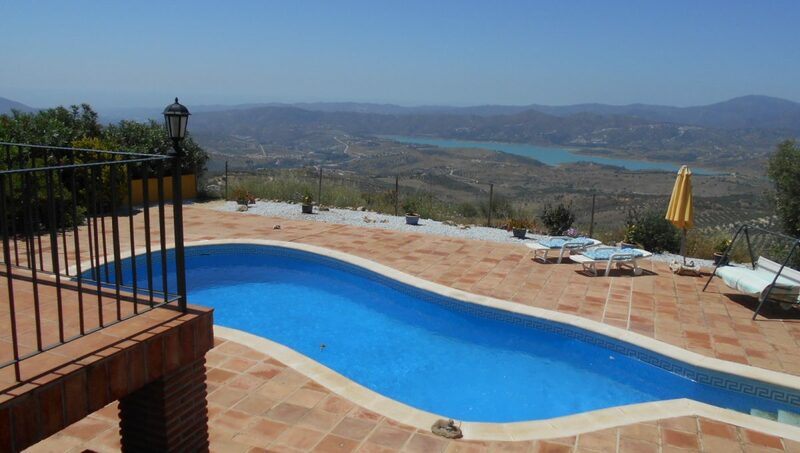 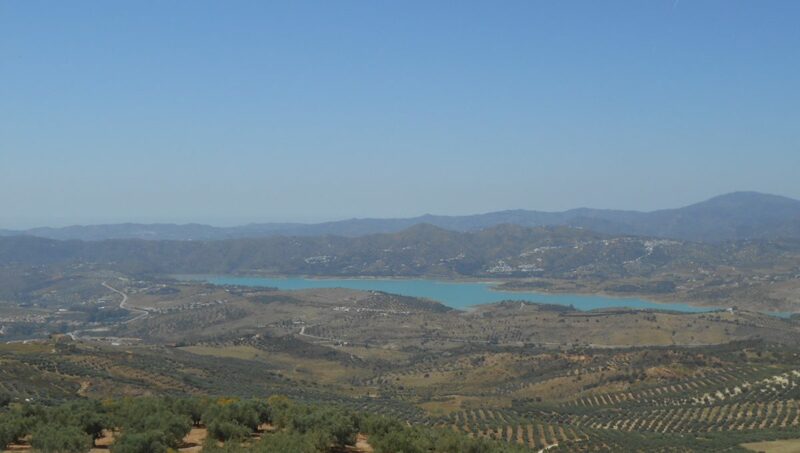 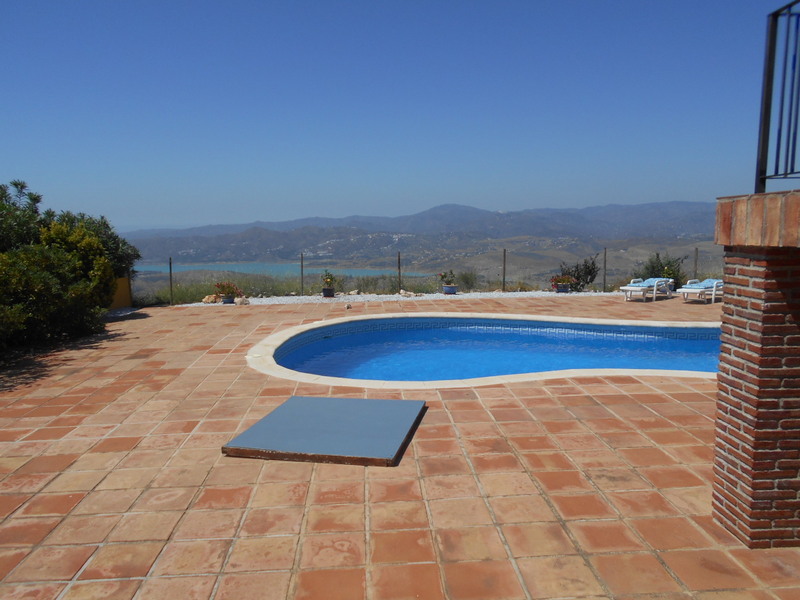 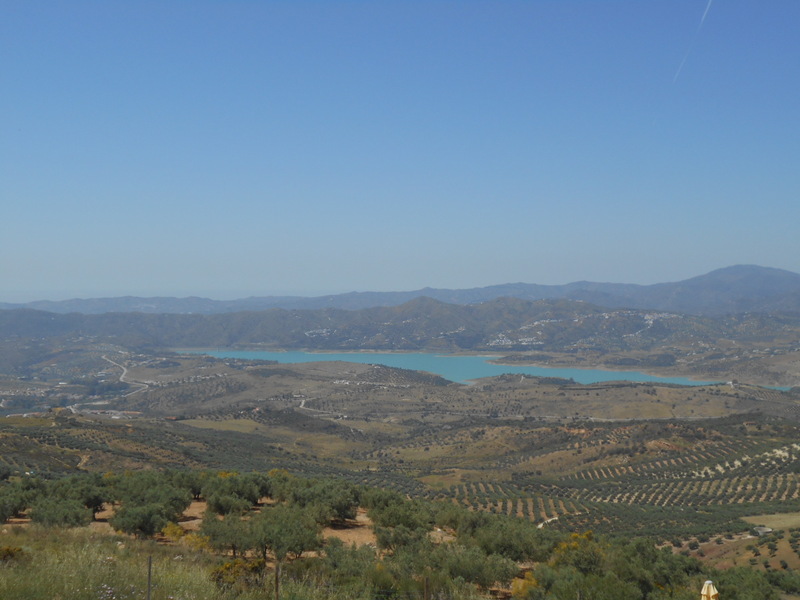 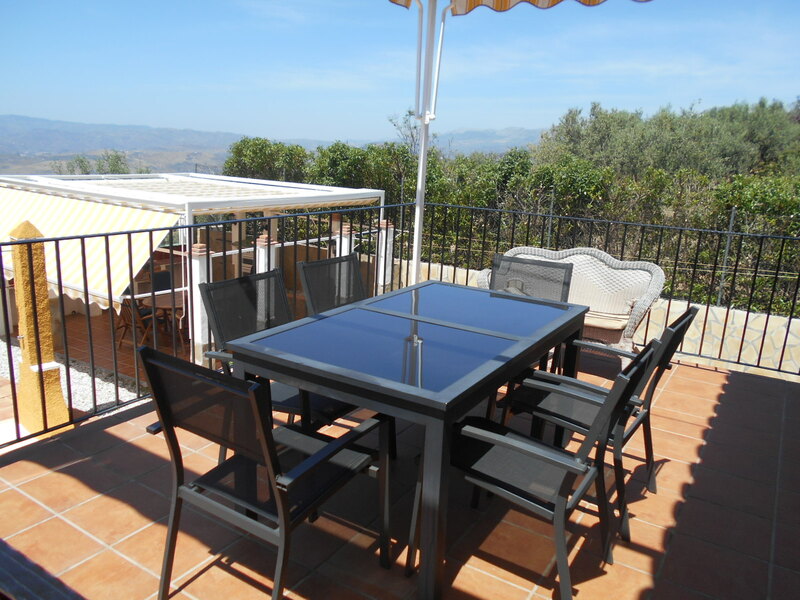 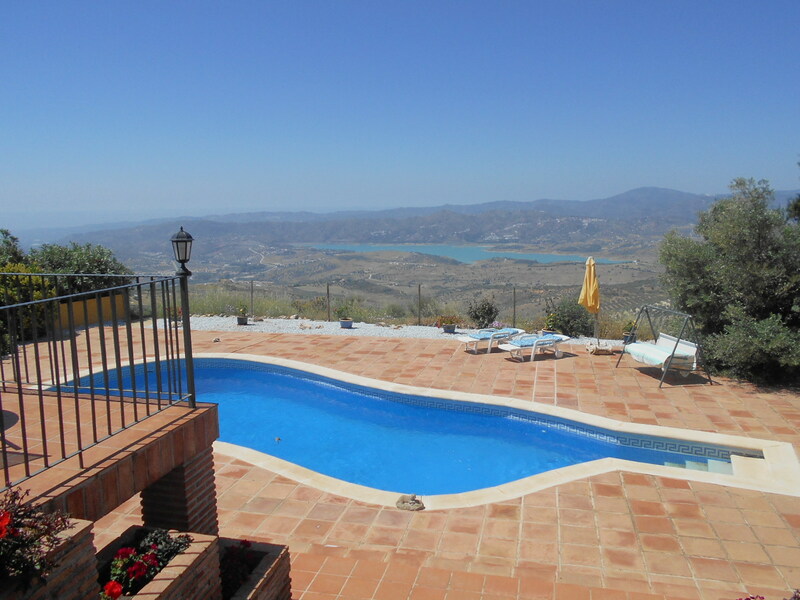 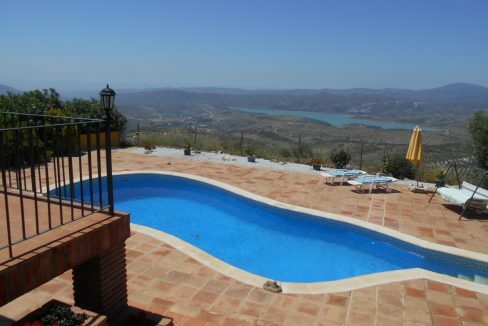 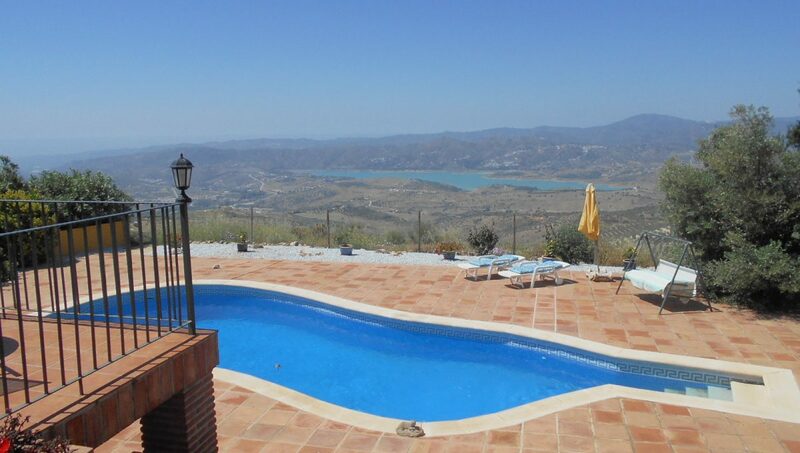 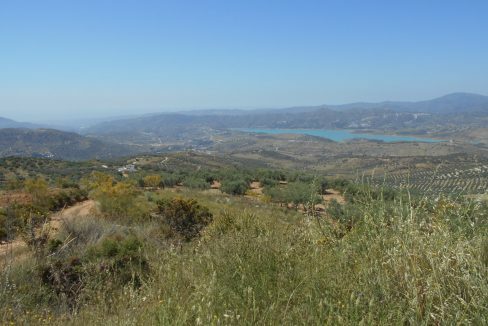 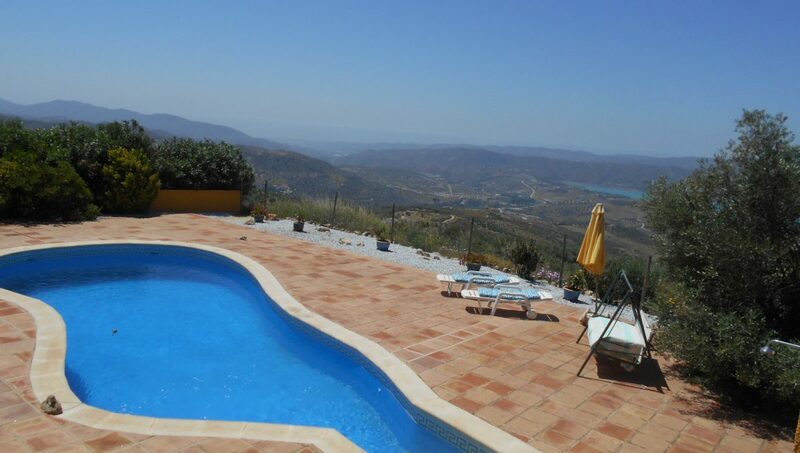 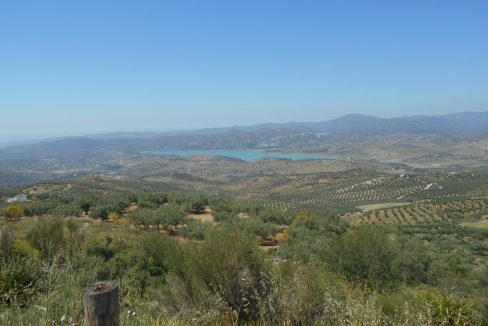 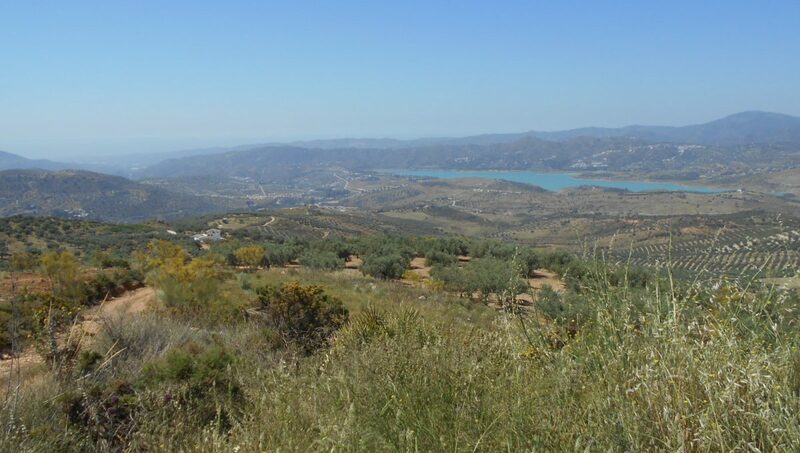 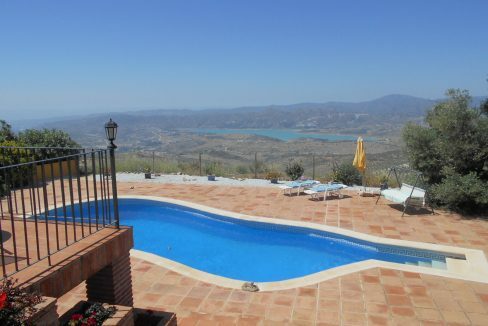 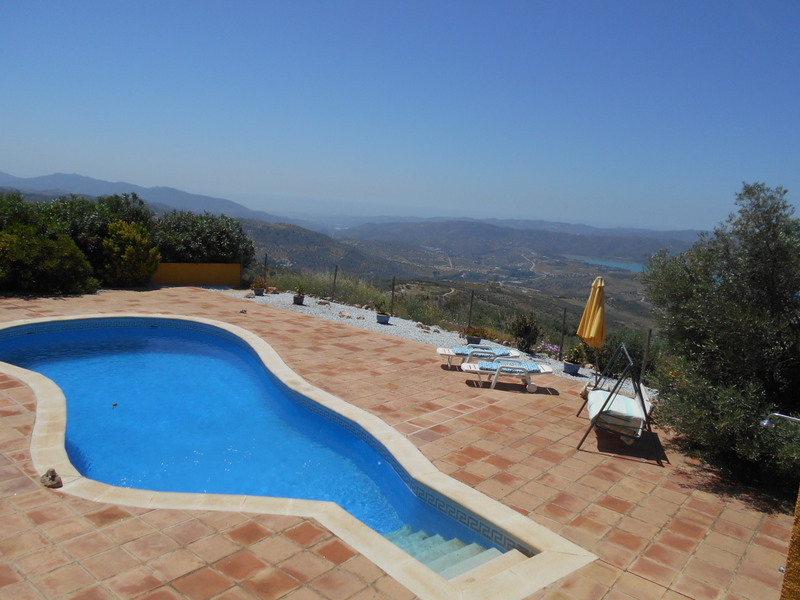 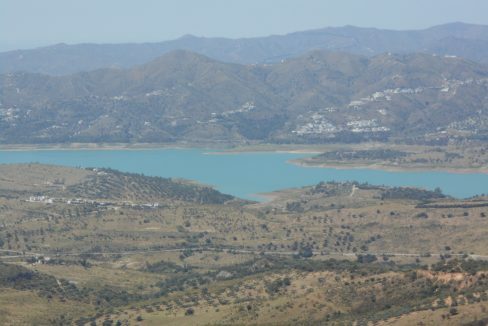 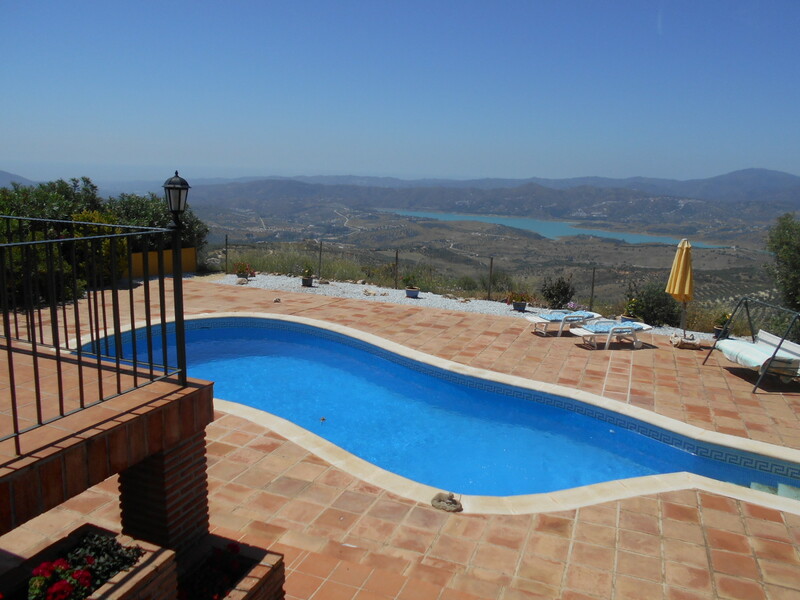 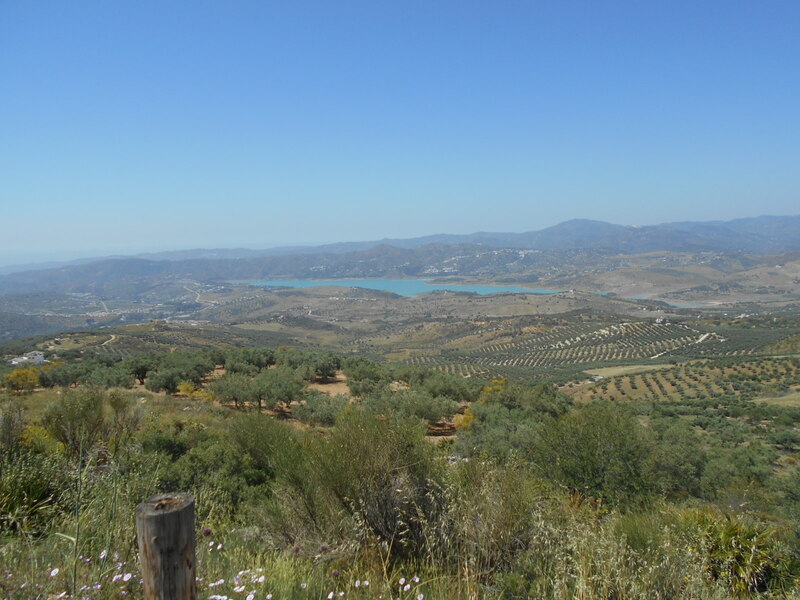 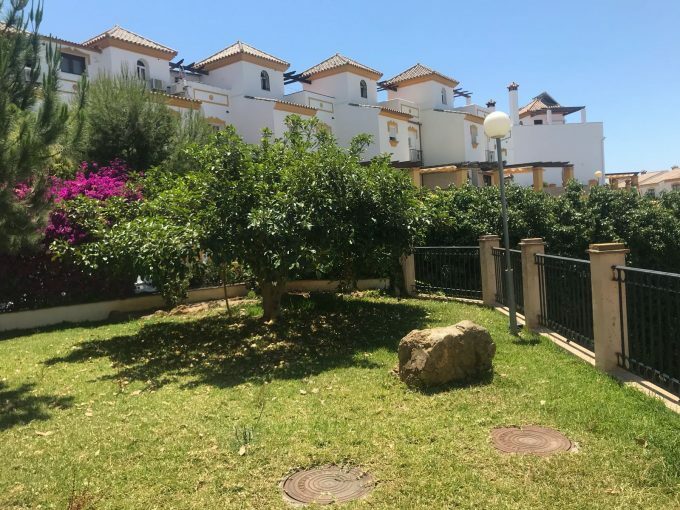 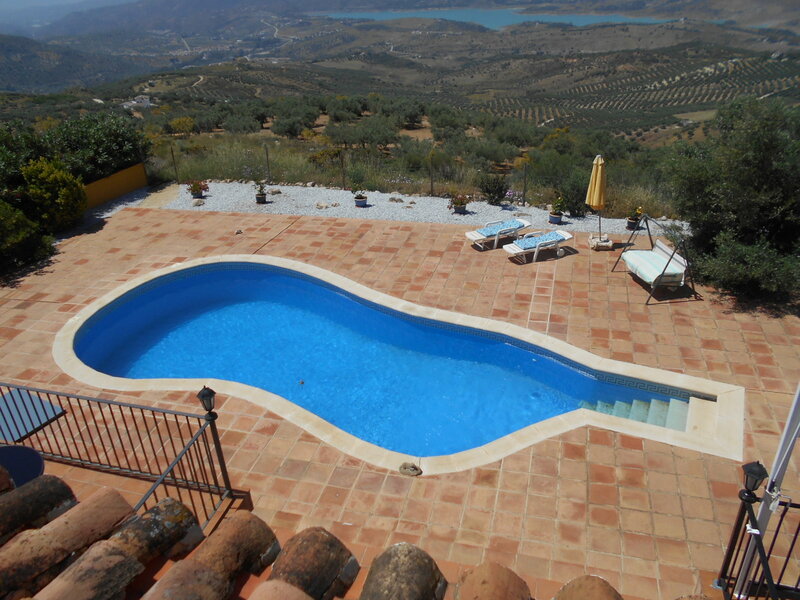 Directly overlooking Lake Vinuela and fully encompassing views of the surrounding countryside as far as the Mediterranean. 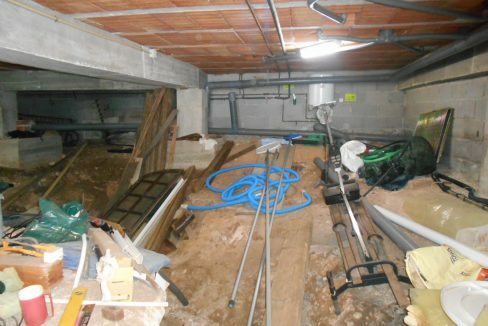 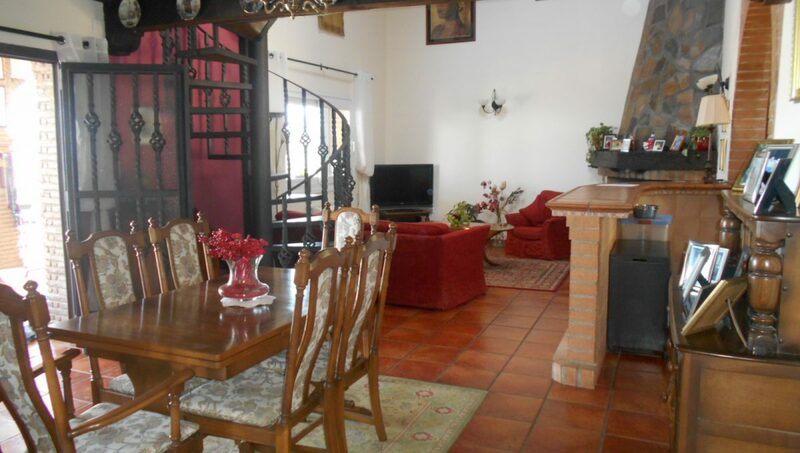 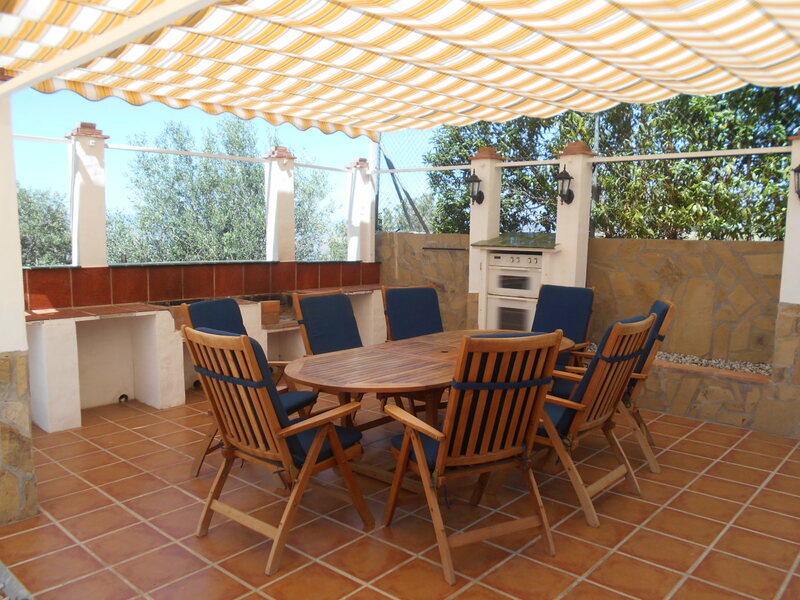 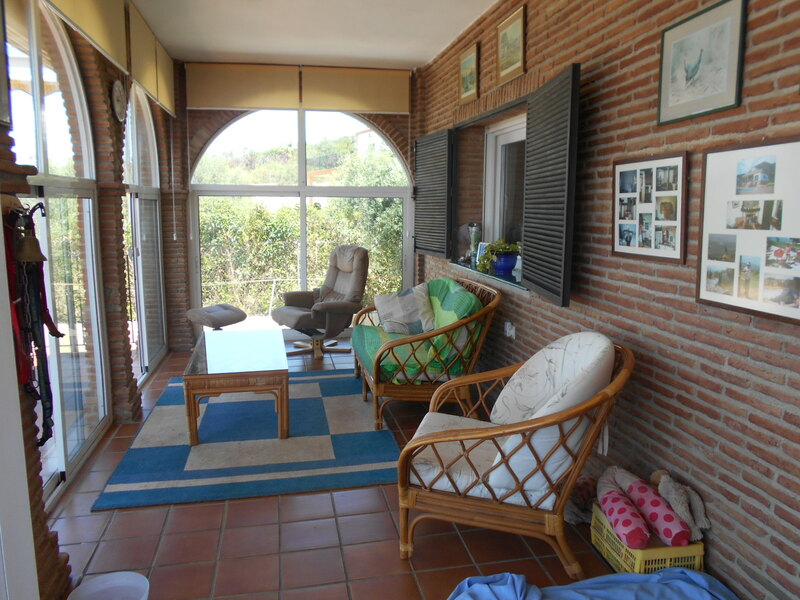 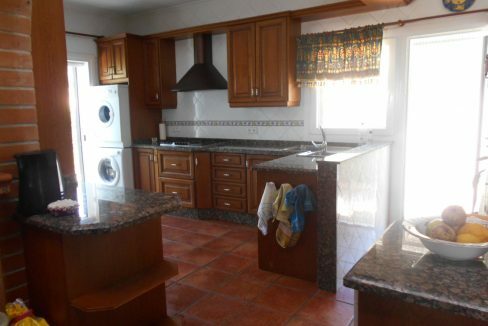 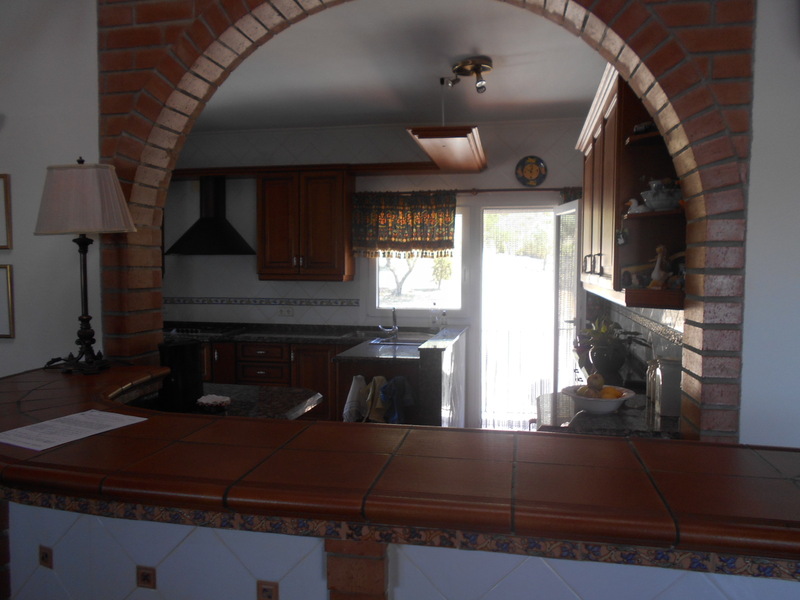 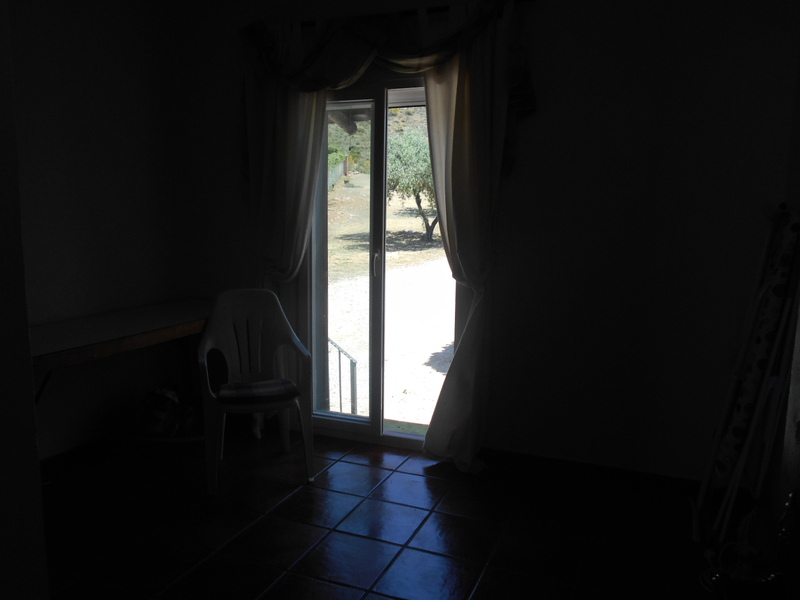 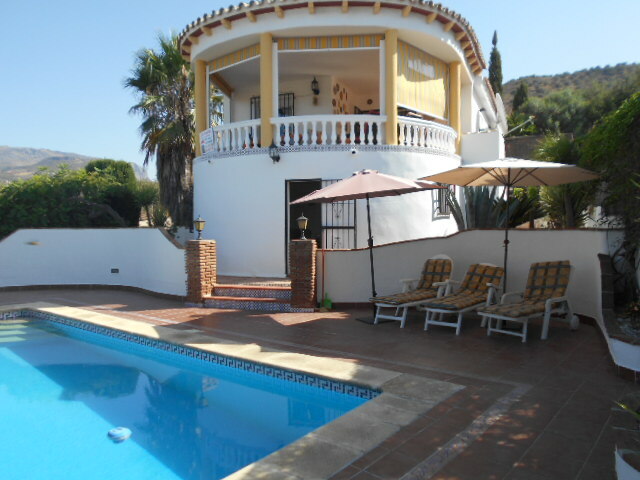 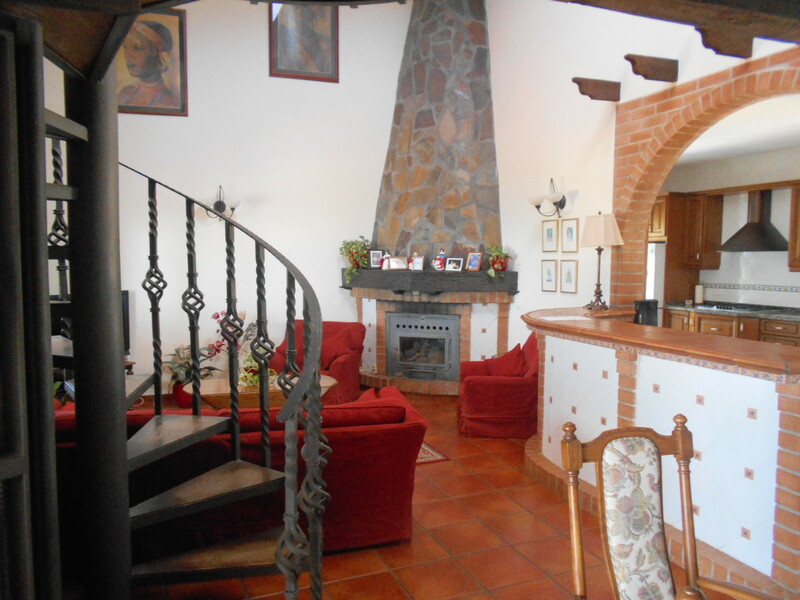 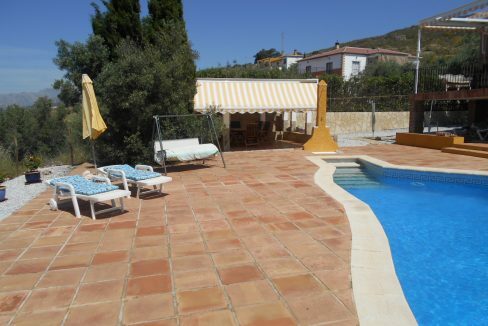 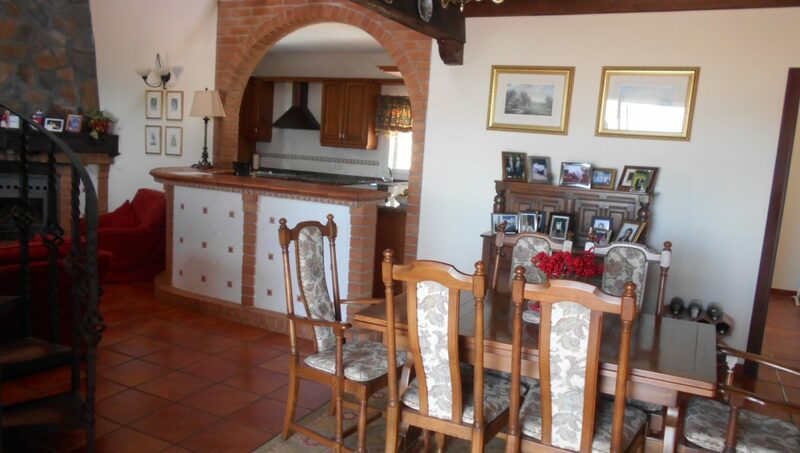 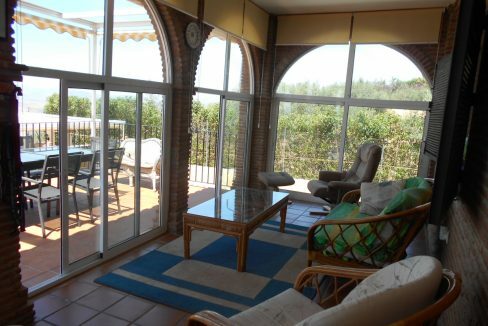 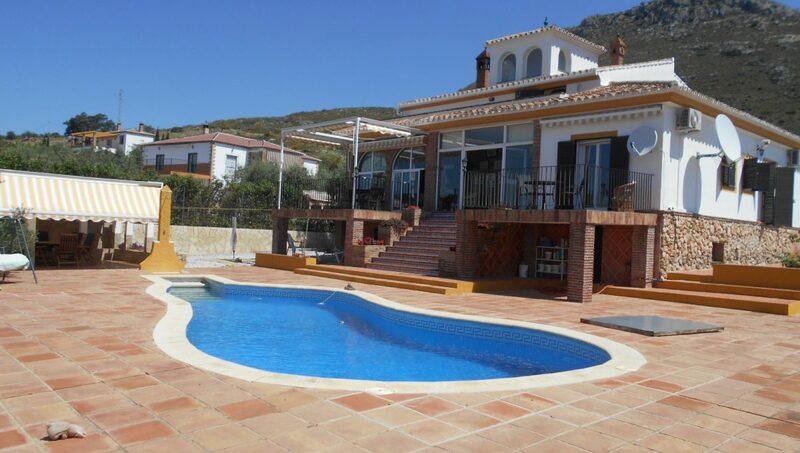 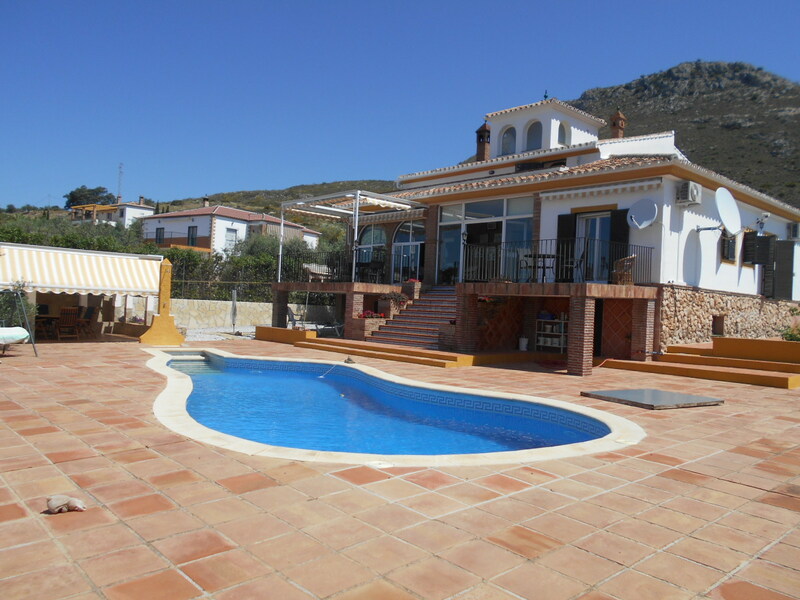 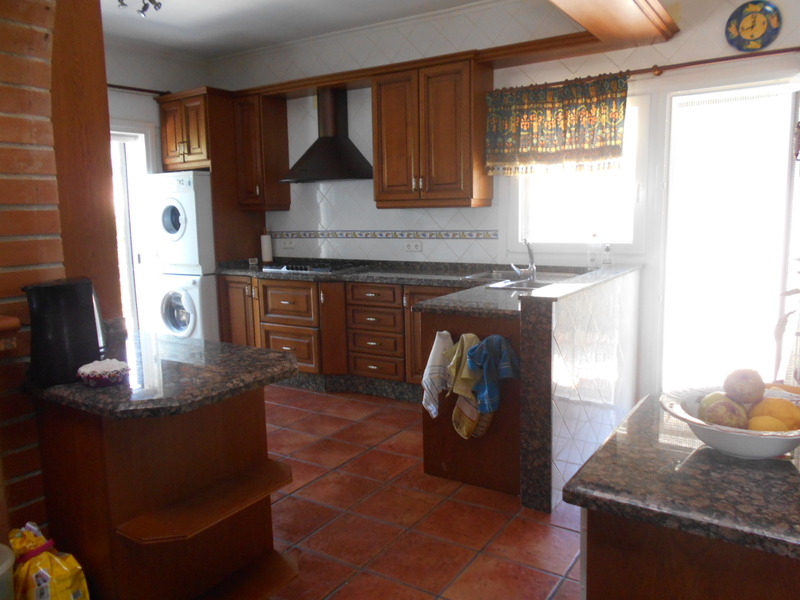 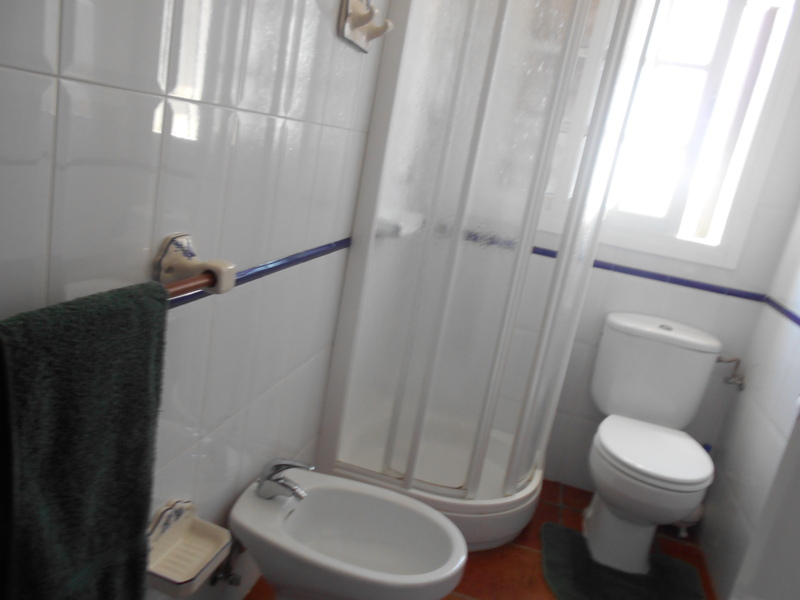 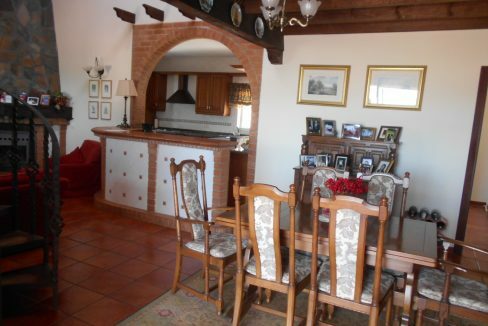 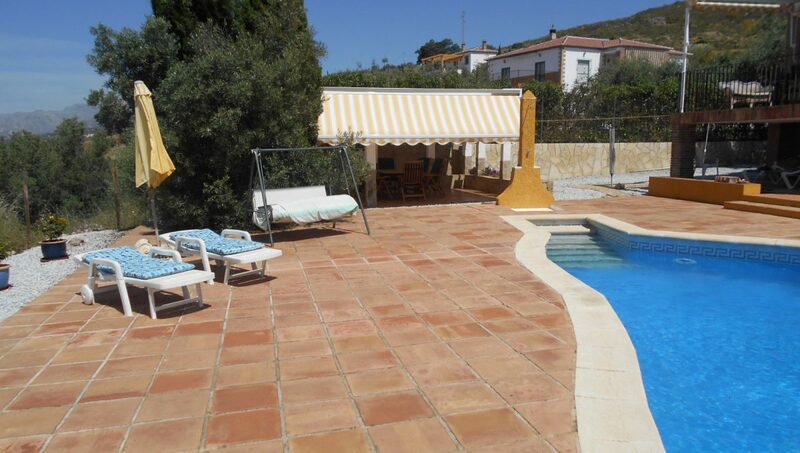 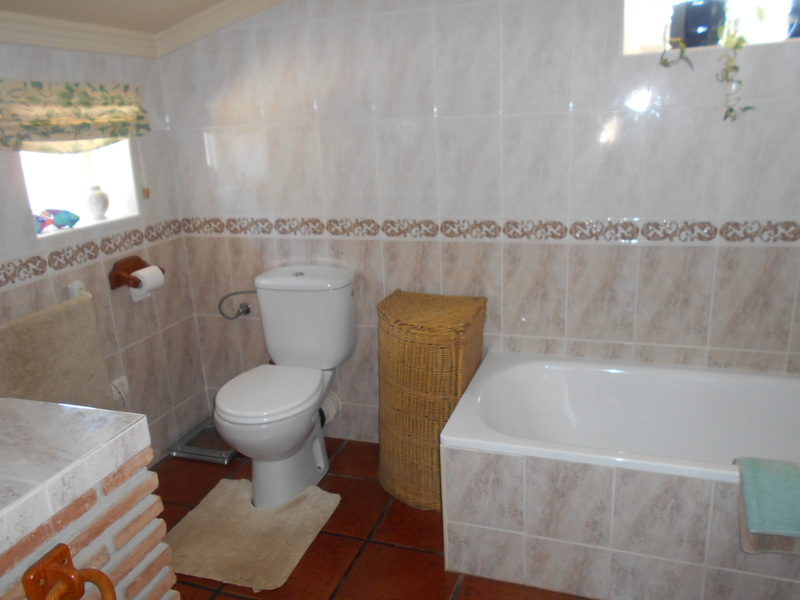 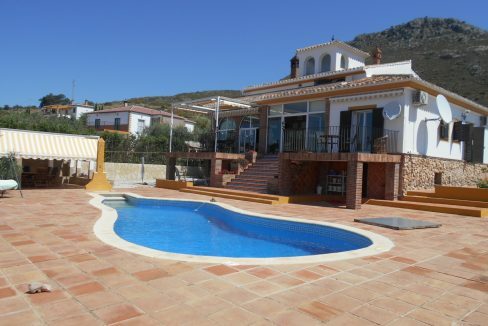 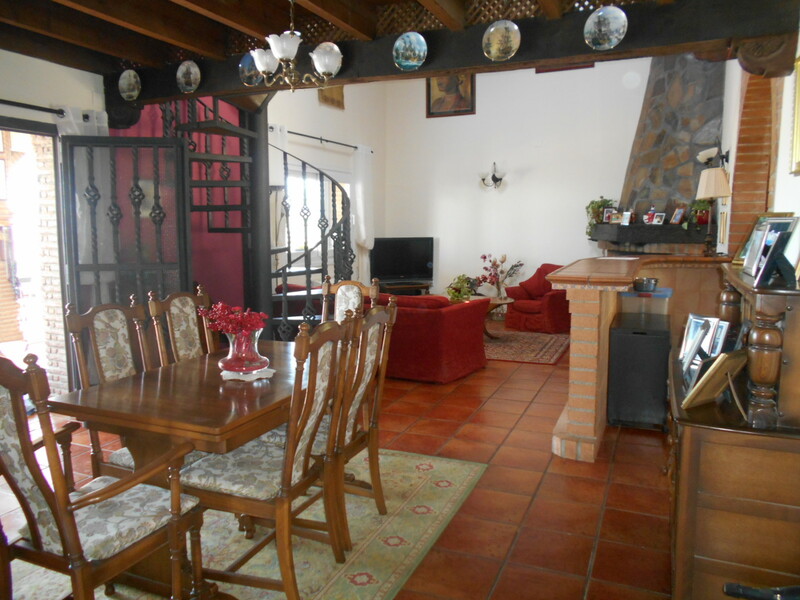 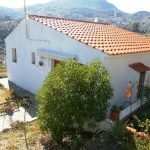 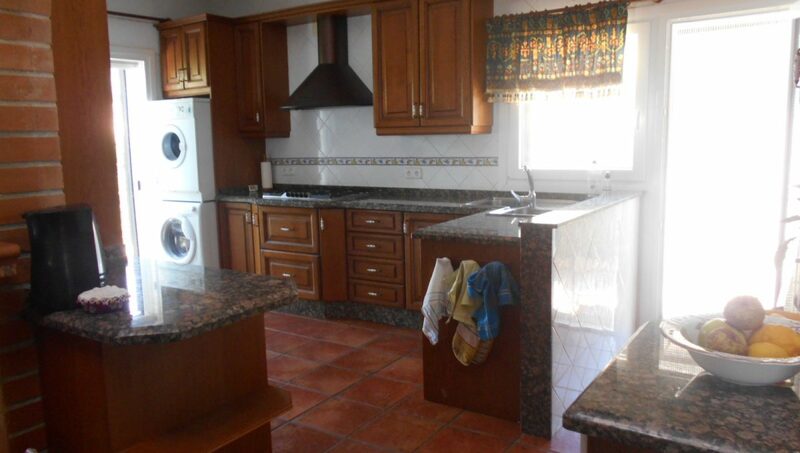 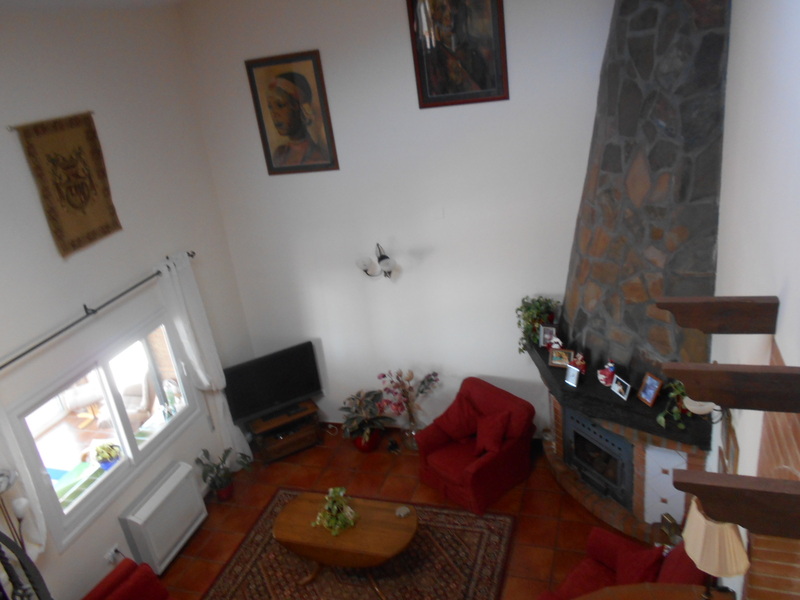 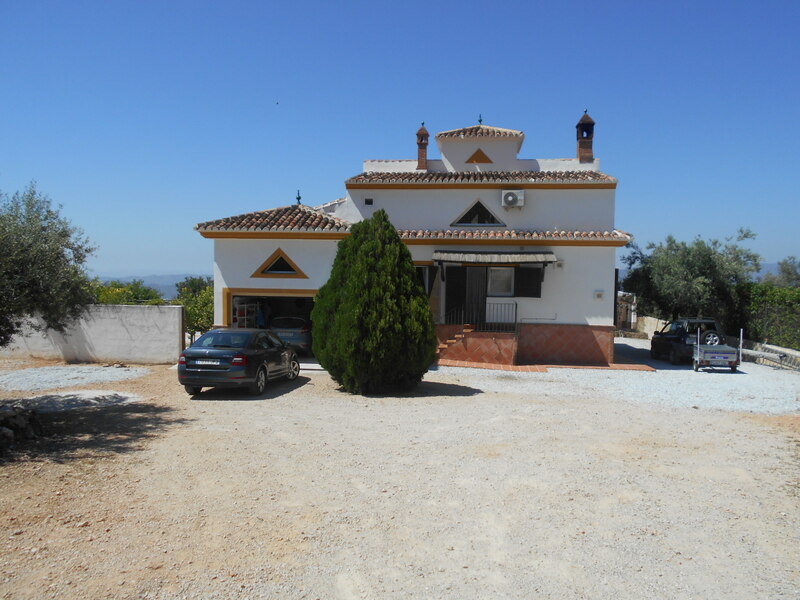 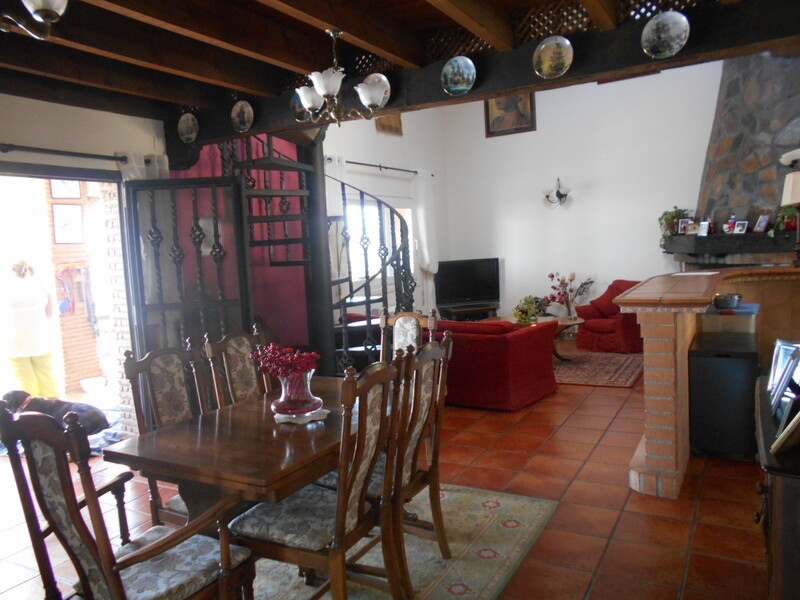 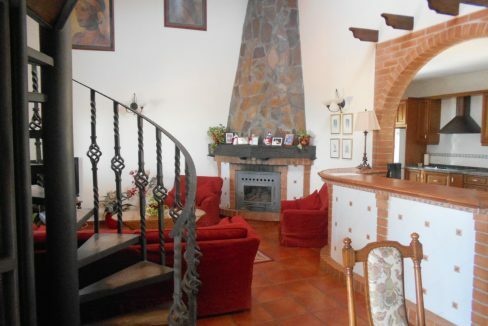 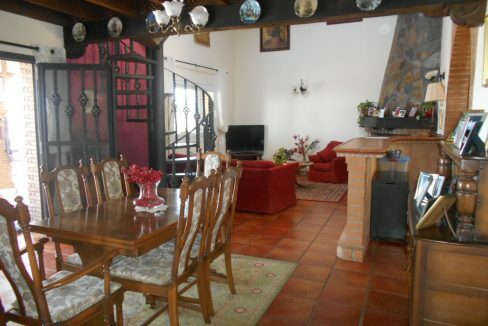 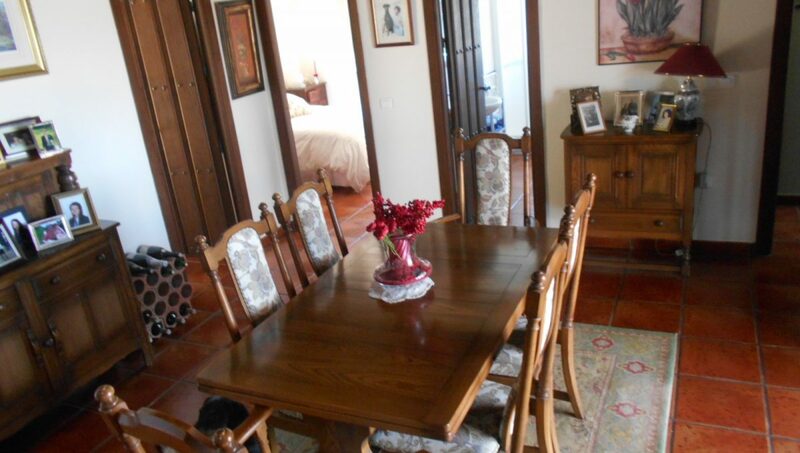 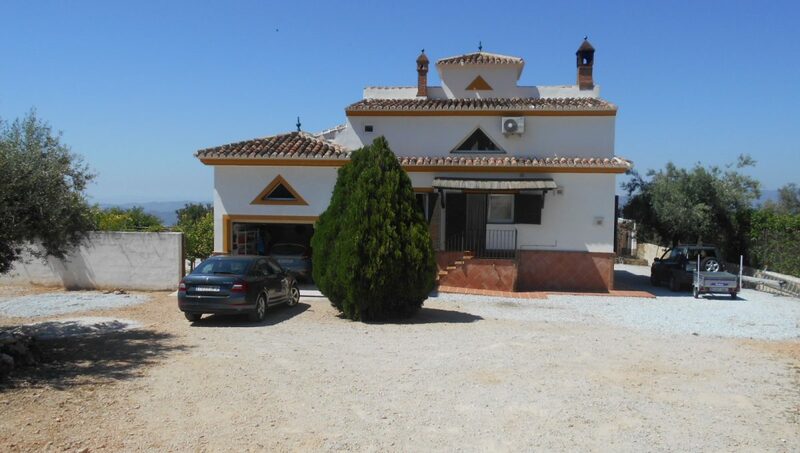 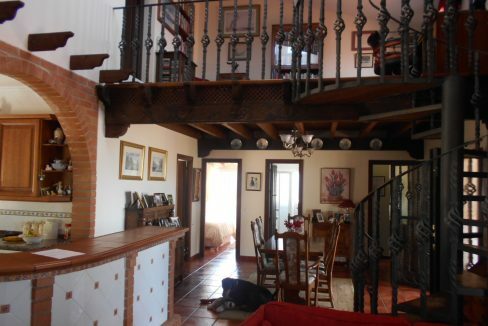 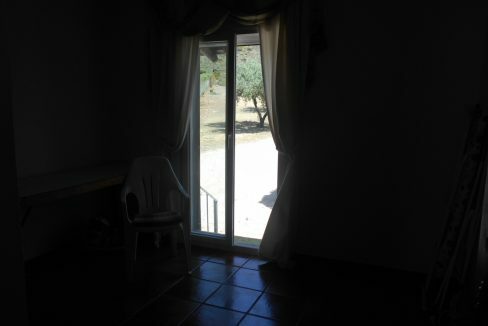 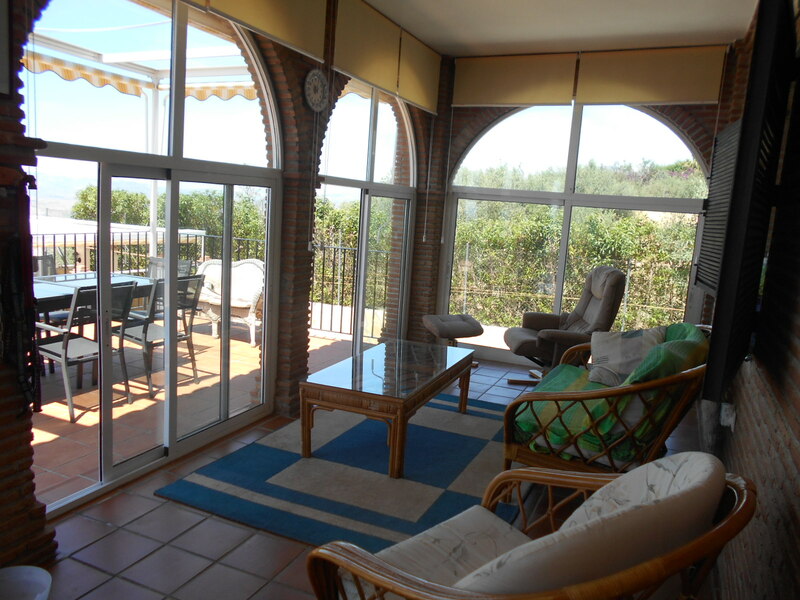 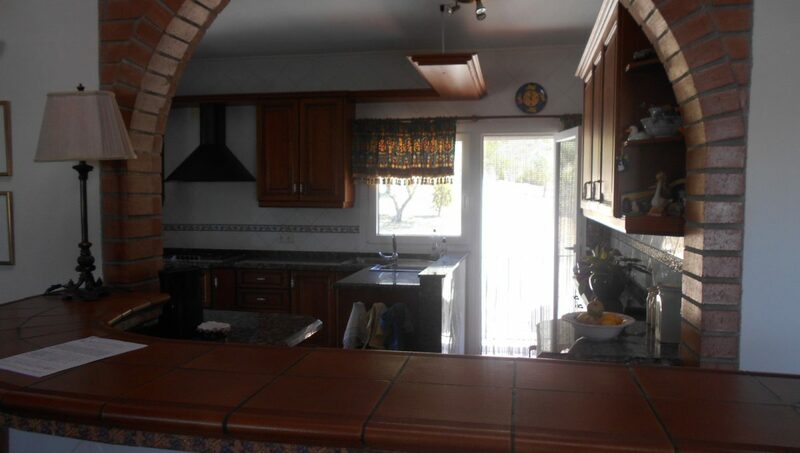 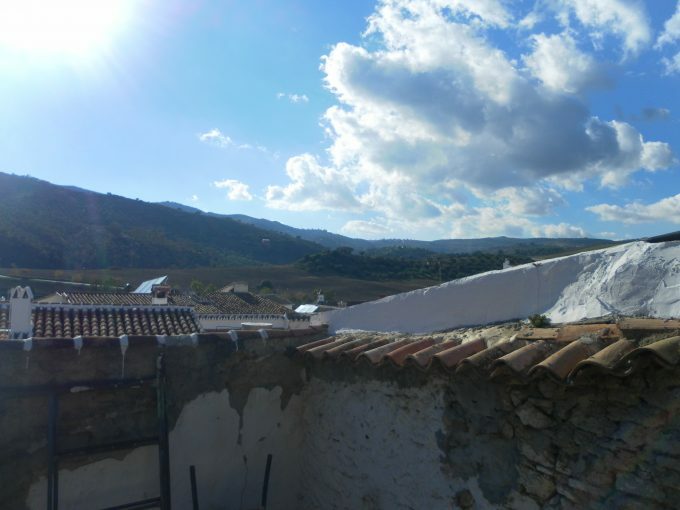 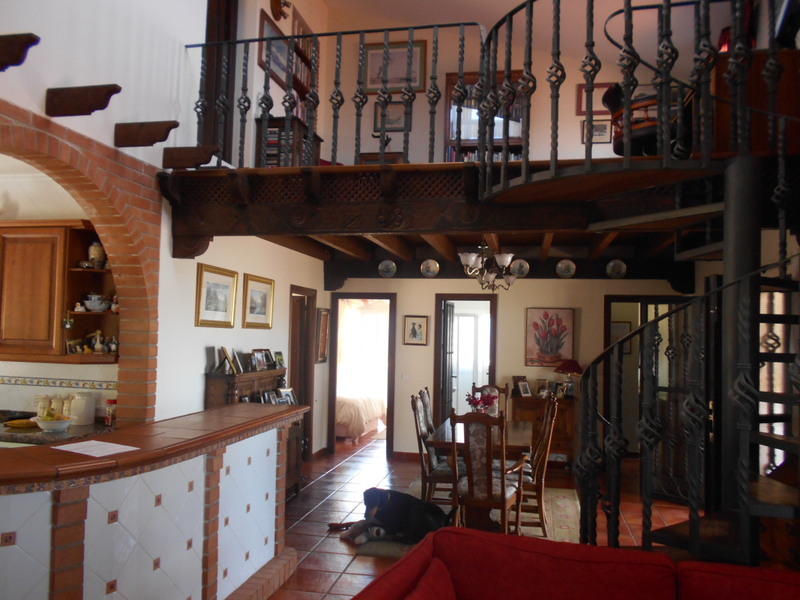 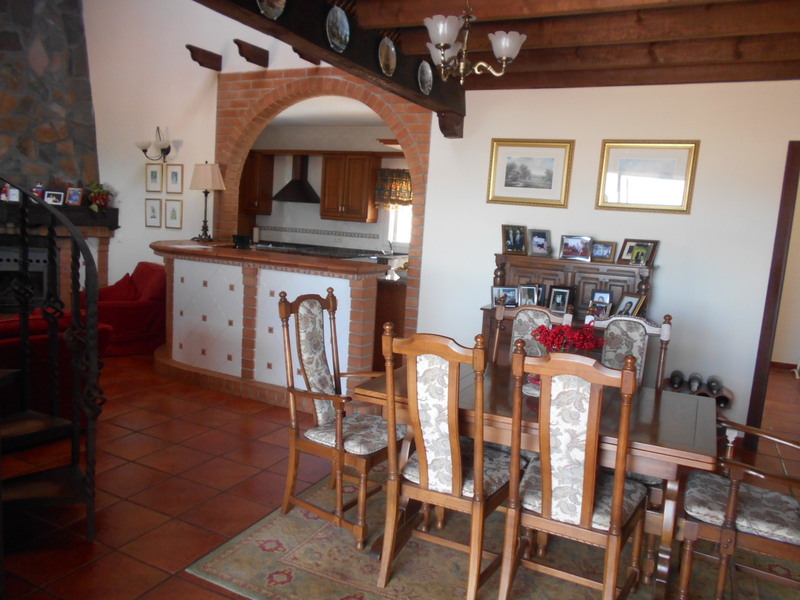 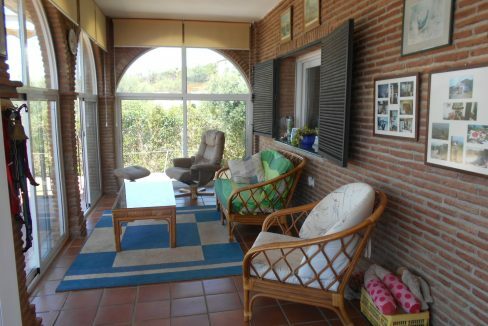 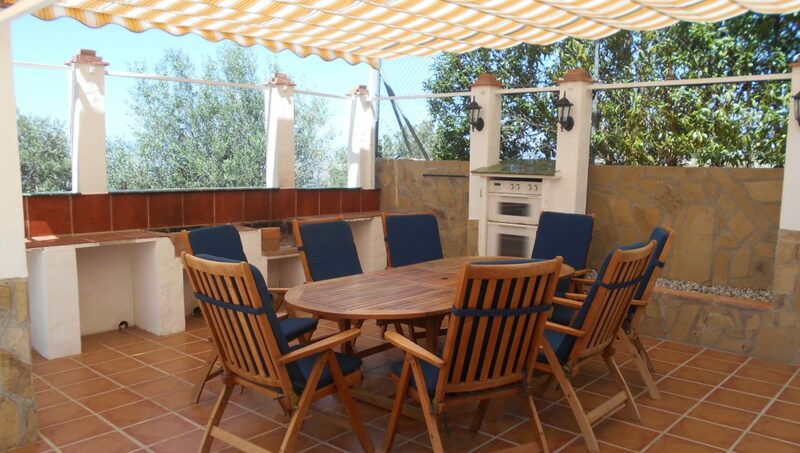 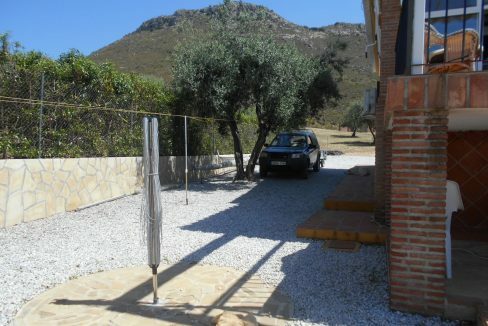 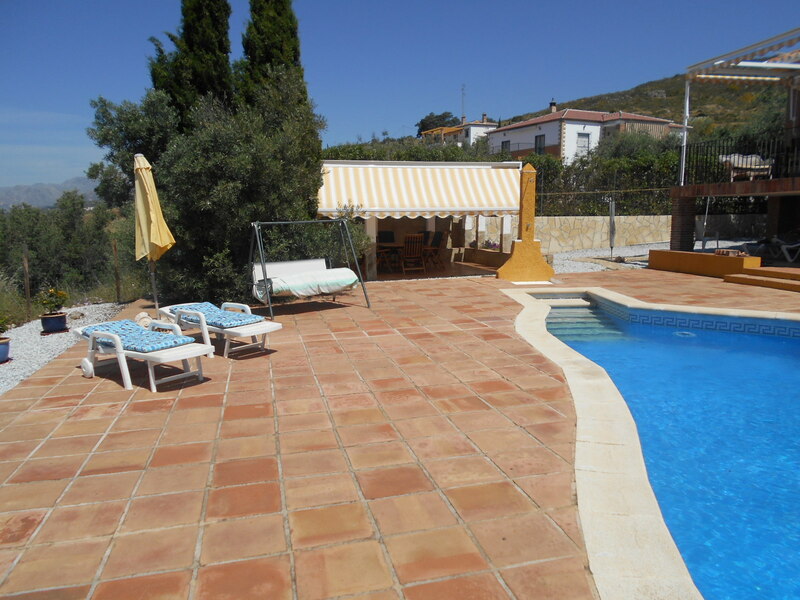 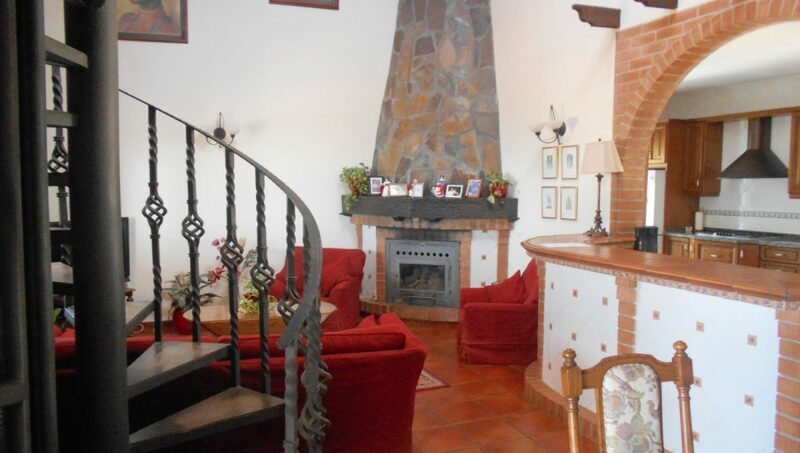 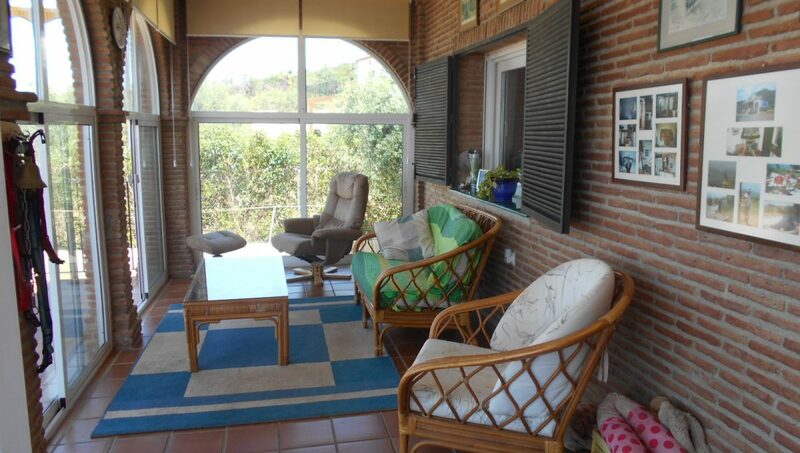 A well presented property of 222 m2 that includes a large garage with electric door. 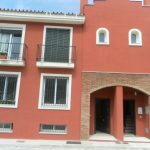 The property, which is double glazed, comprises of 4 double bedrooms and 3 bathrooms on 2 floors with a basement storage area of 135 m2. 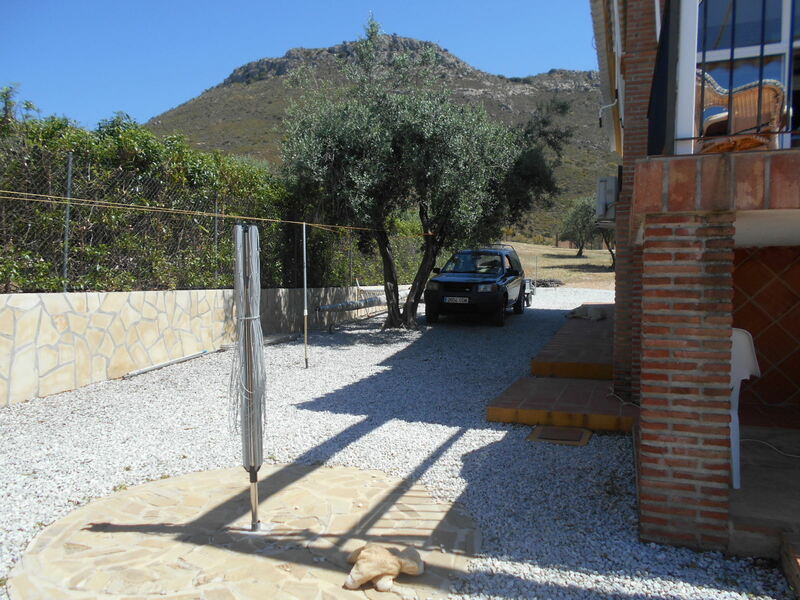 The land which is flat and fully fenced measures 4,000 m2 and is accessed via an electric gate. 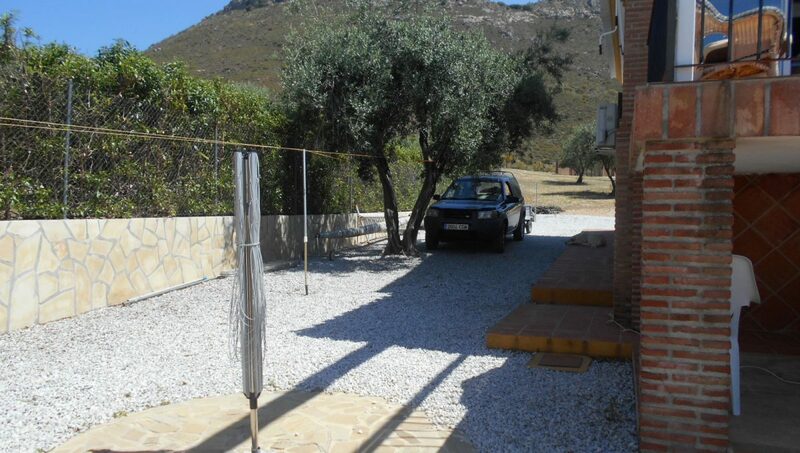 There is ample parking close to the house for several cars. 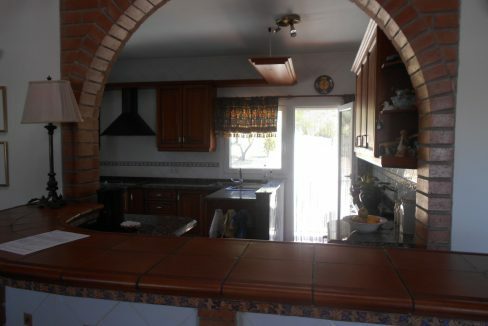 A small flight of steps leads directly into a large fully fitted kitchen with breakfast bar and an open plan style throughout. 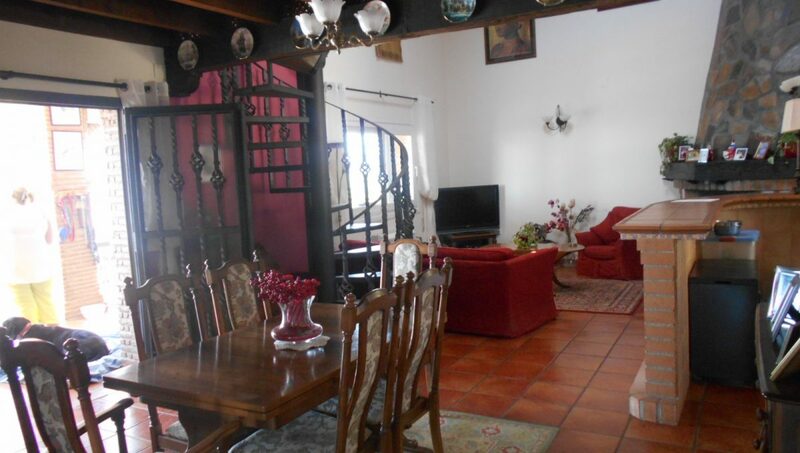 The lounge/diner has a 6 metre high vaulted ceiling with an atrium, providing additional light. 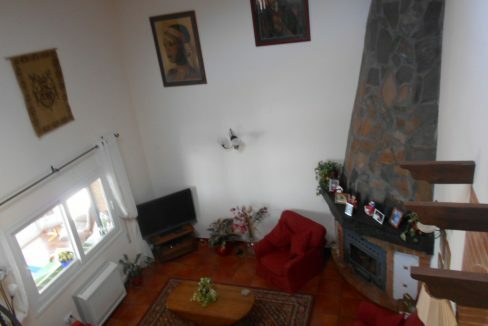 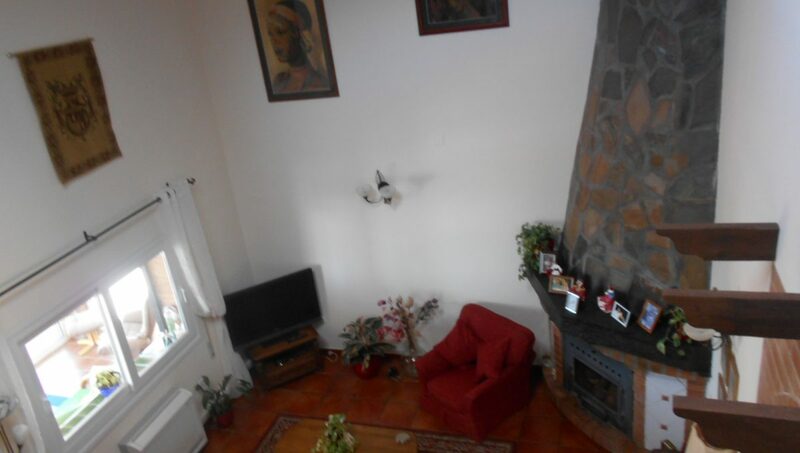 A built- in log burner with a decorative stone chimney, air con/heating and ample room to relax. 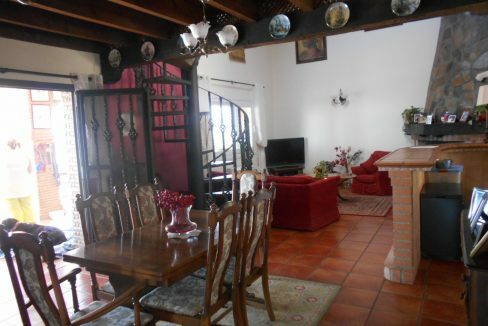 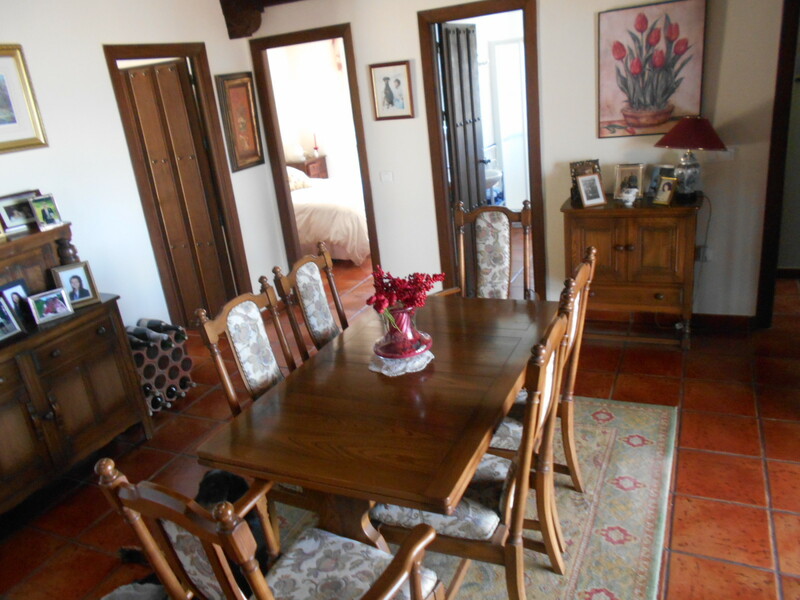 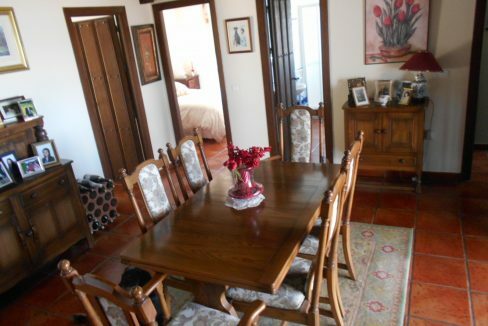 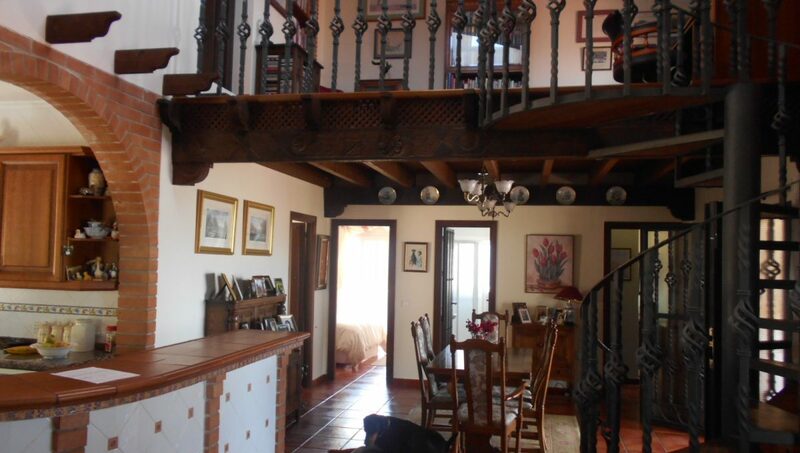 The dining area has lovely wooden beams. 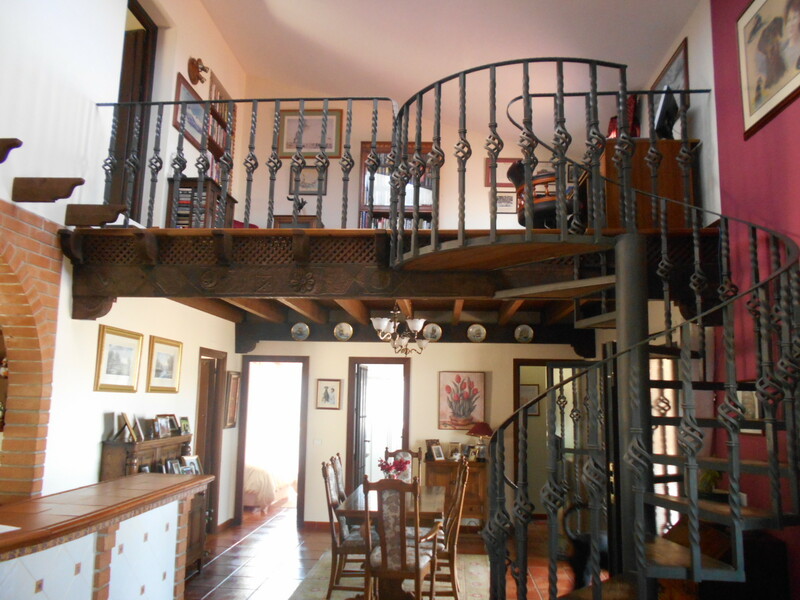 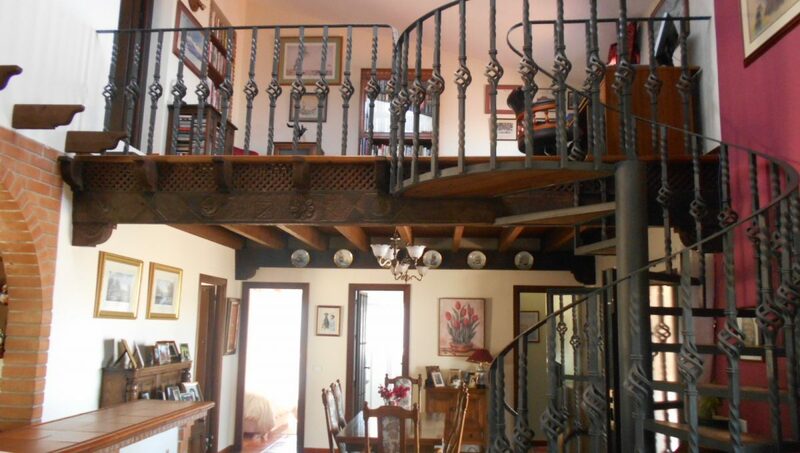 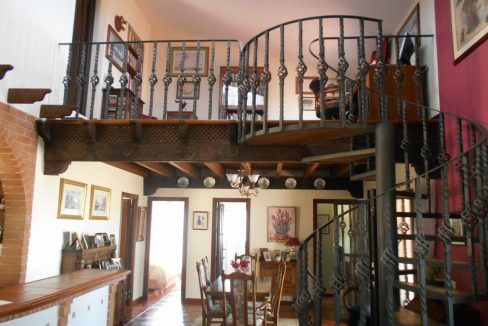 A unique and ornamental wrought iron spiral staircase leads from the dining area to a galleried landing/study and the master bedroom. 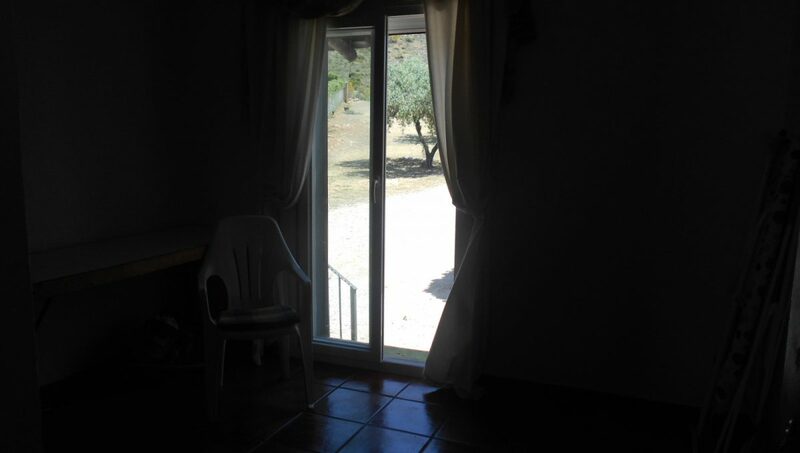 A door from the study leads to the first floor terrace which also offers outstanding views, perhaps unbeatable views of the Axarquia region. 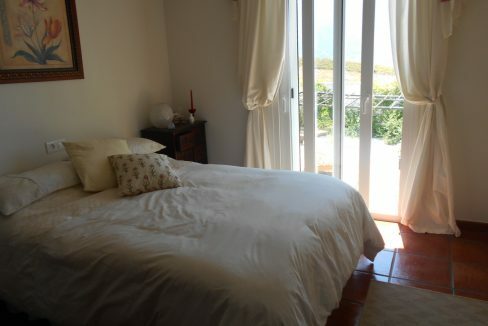 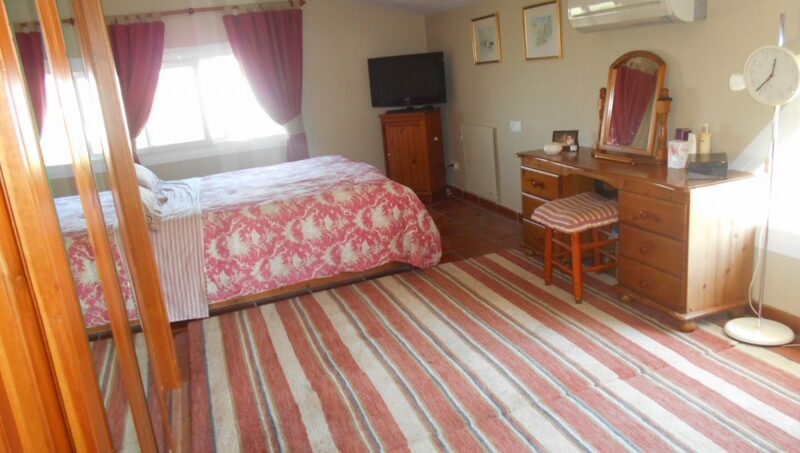 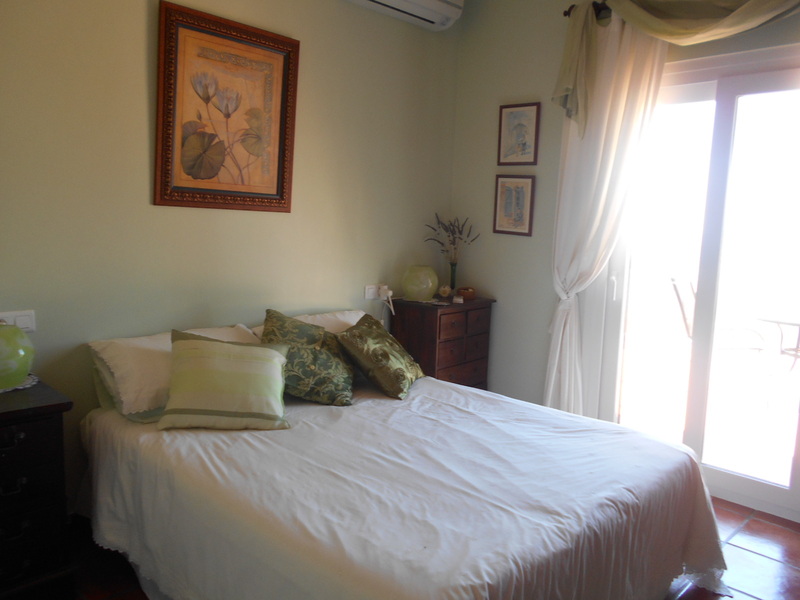 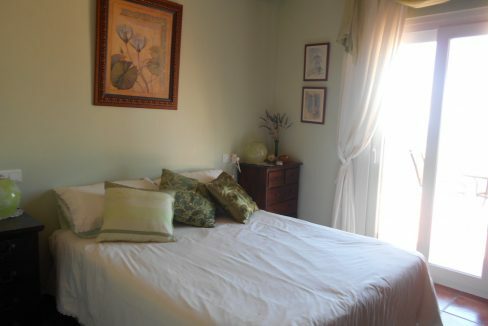 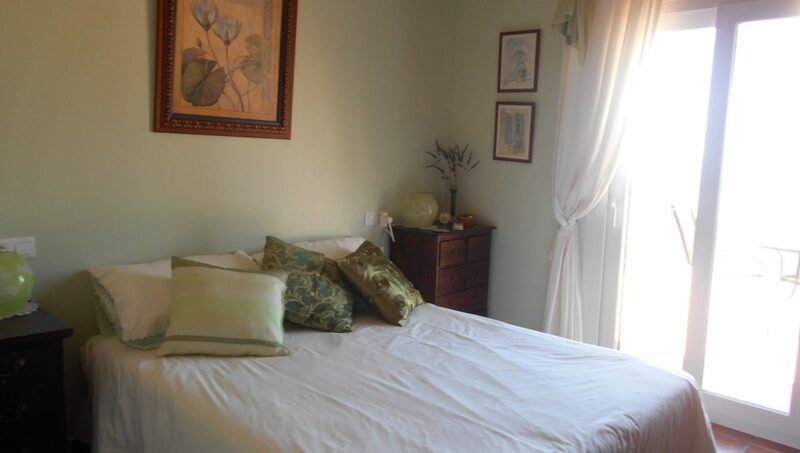 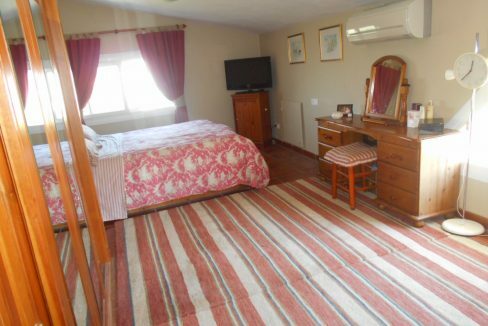 The very large master bedroom is en-suite with a bath and shower, air con/heating and fitted wardrobe. 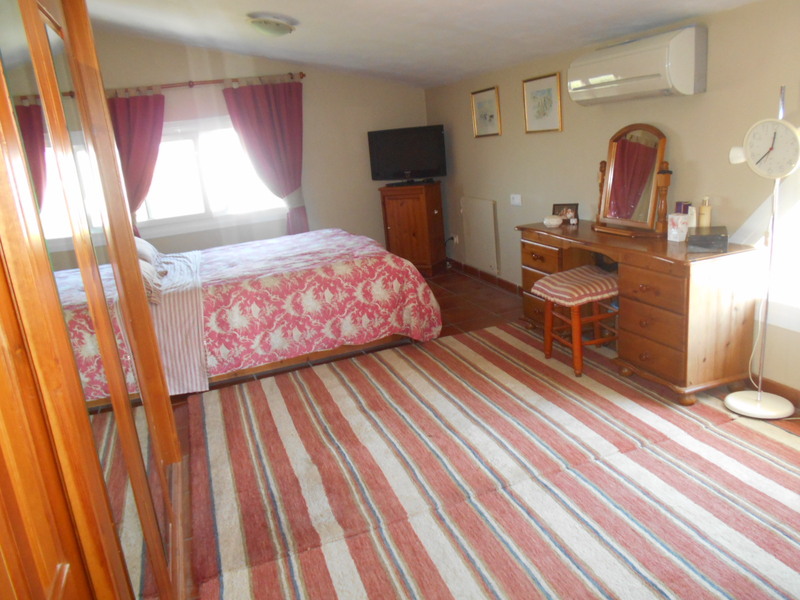 On the ground floor there are 3 further double bedrooms with fitted wardrobes, fans and 2 with air con/heating. 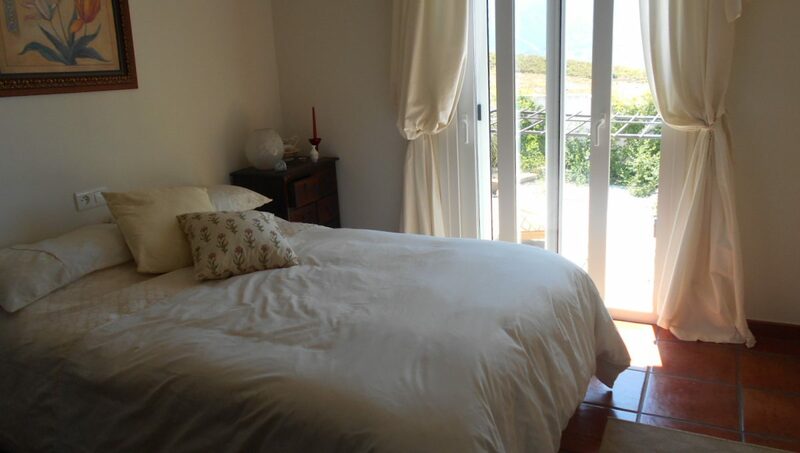 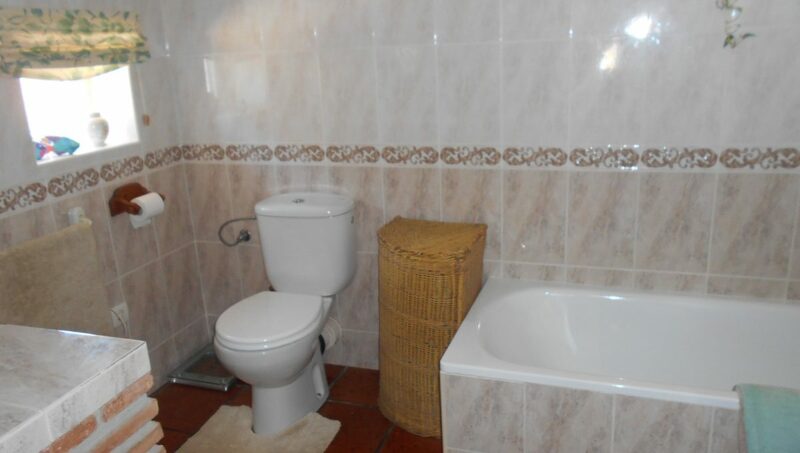 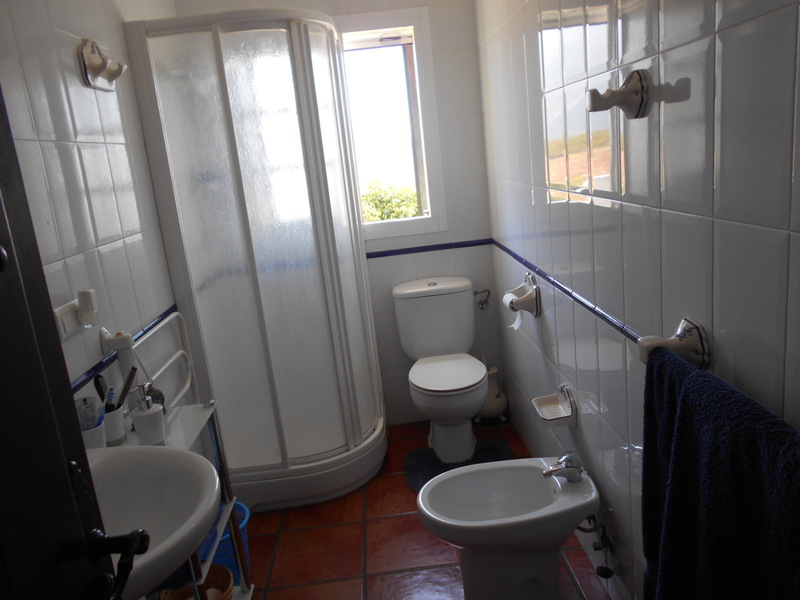 One is en-suite with shower and patio doors lead to a private terrace with views to the lake. 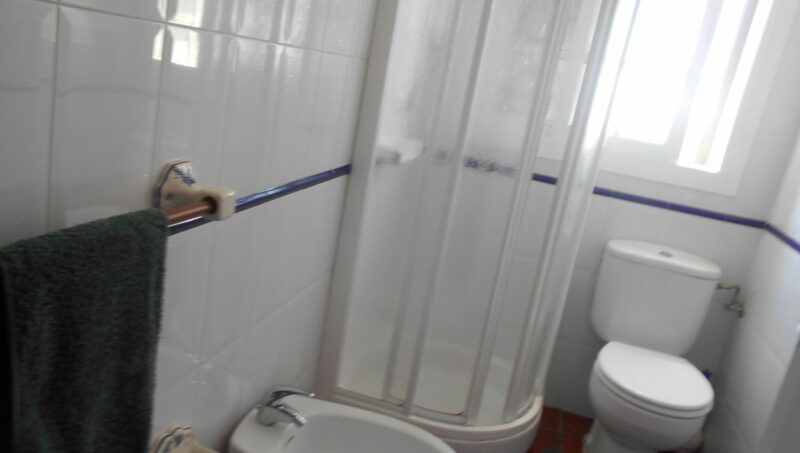 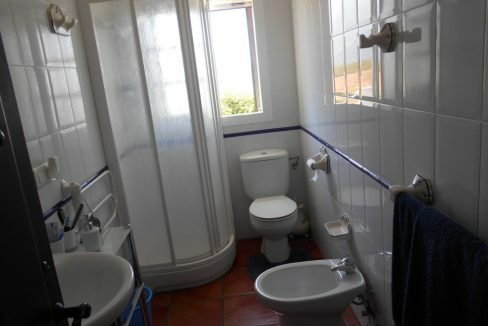 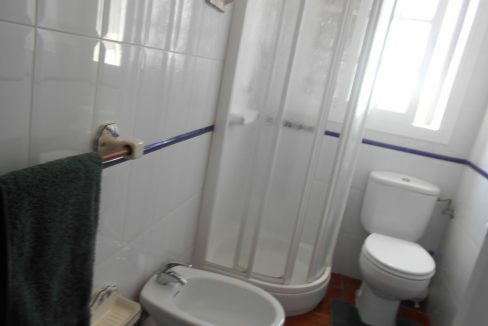 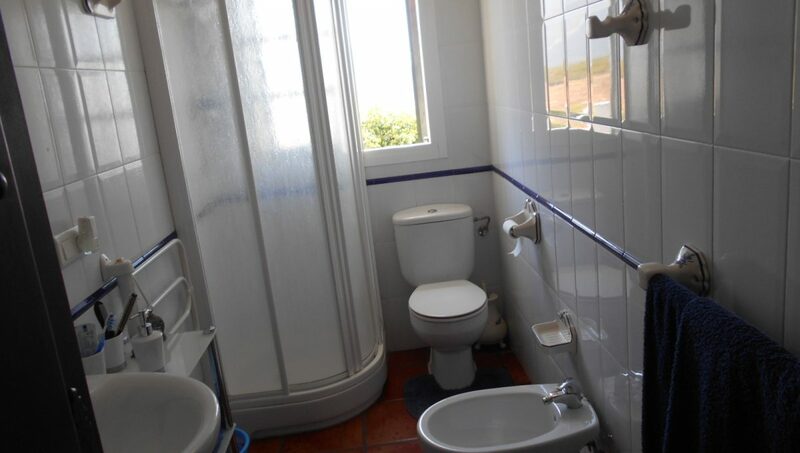 There is a third bathroom with shower. 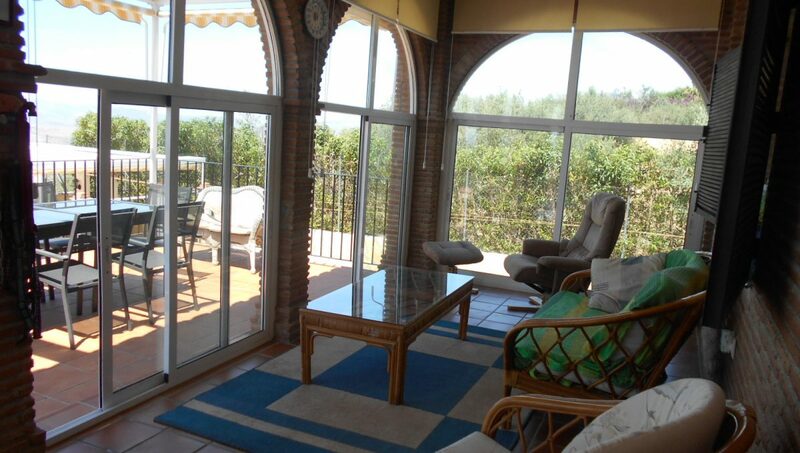 Reinforced double doors lead from the dining area into a large south facing sun room with dual aspect double glazed windows, again offering superb views, which in turn provides access to additional terracing, fantastic for alfresco dining. 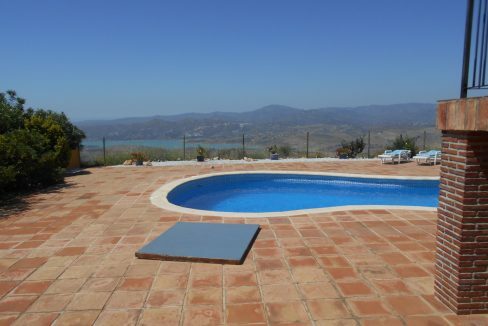 Down a flight of steps lies the 13×5 metre pool, more terracing and the BBQ area, complete with fitted oven electricity/power points lighting and awnings. 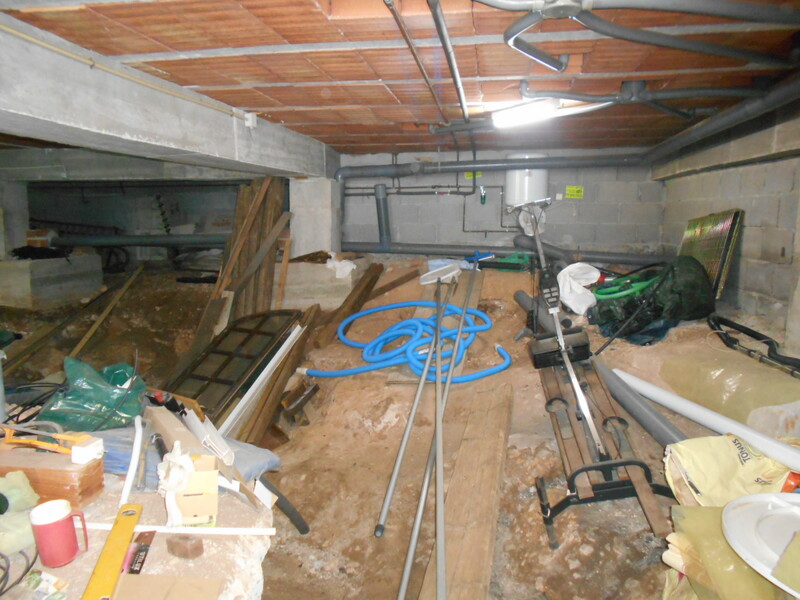 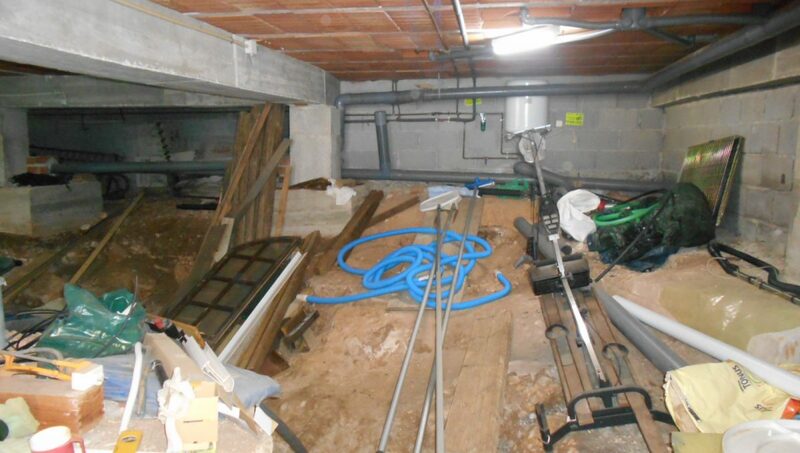 The storage area has electricity/lighting and a 10,000 litre reserve water tank. 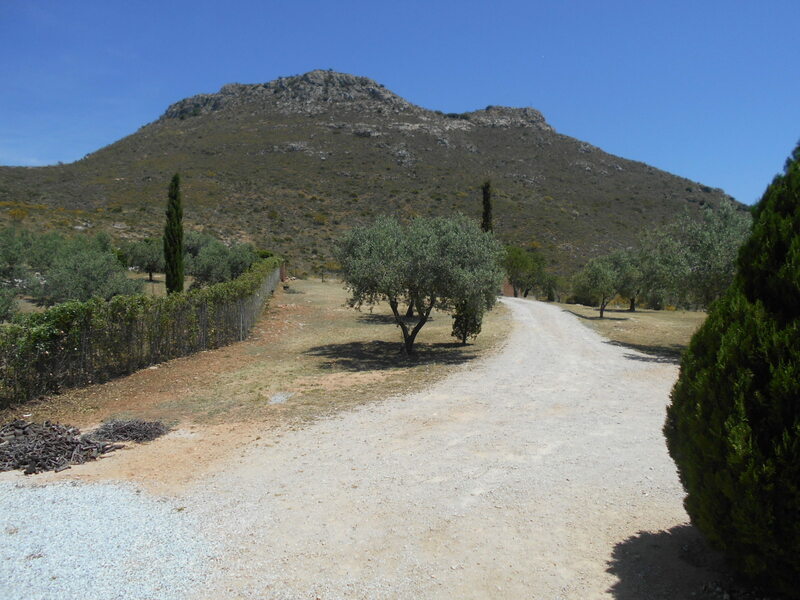 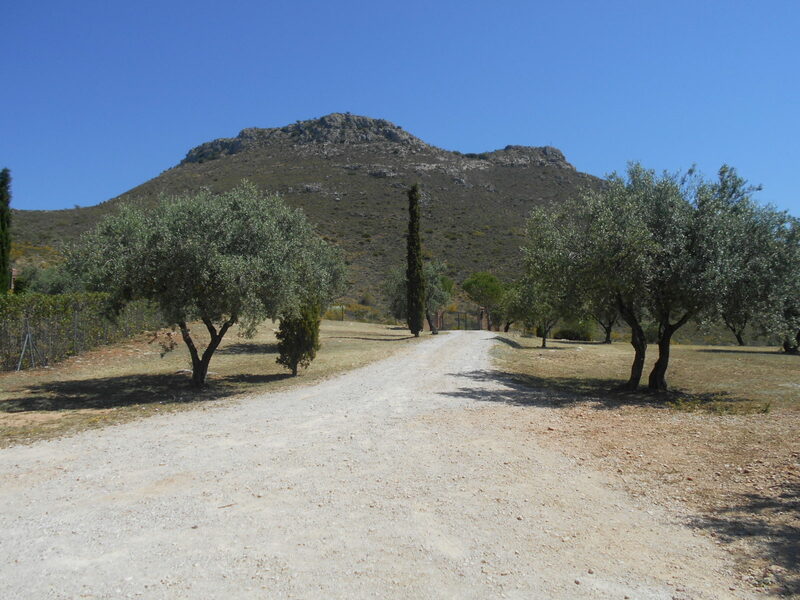 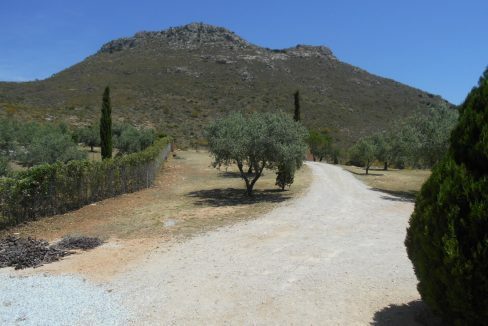 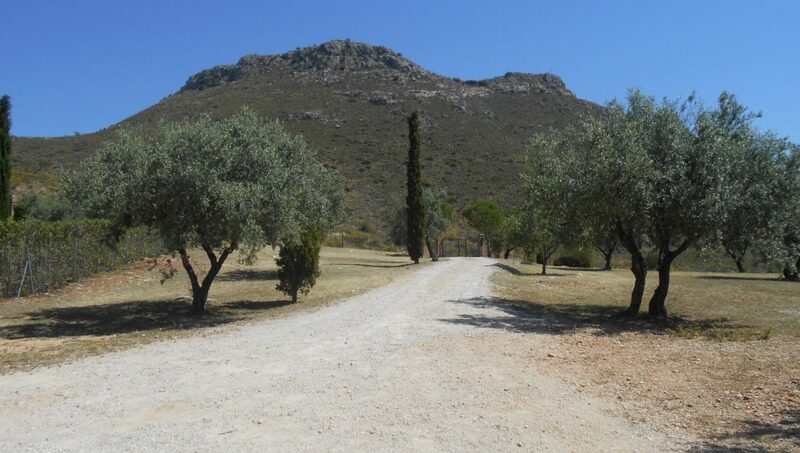 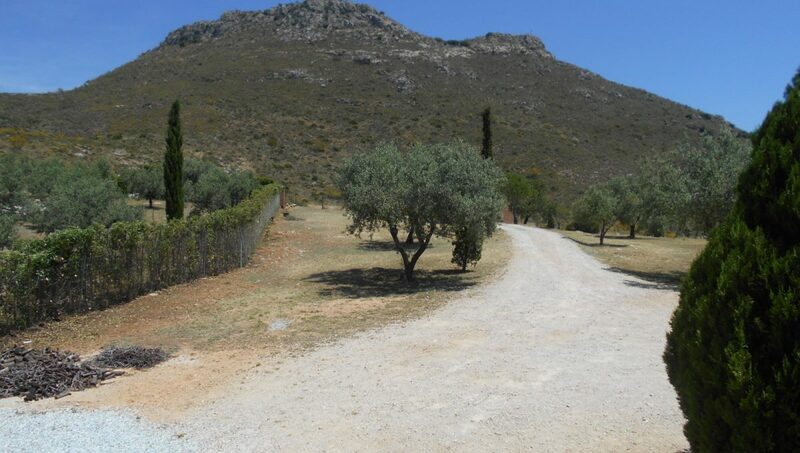 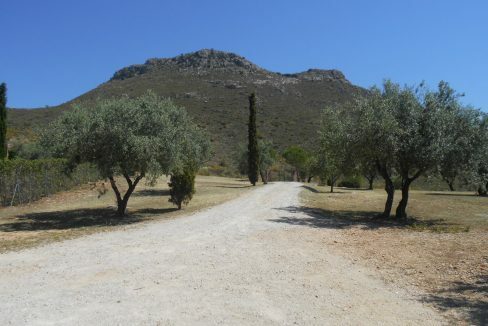 The gardens are low maintenance, mature and with auto irrigation to the fruit trees and climbers.